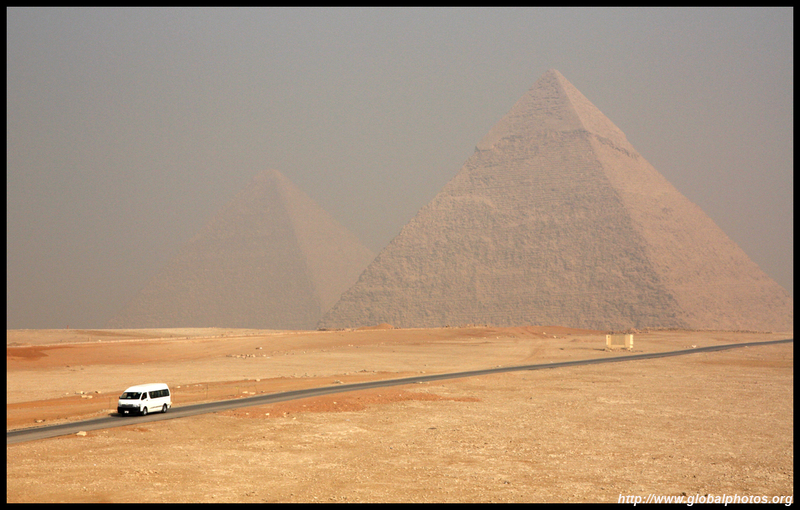 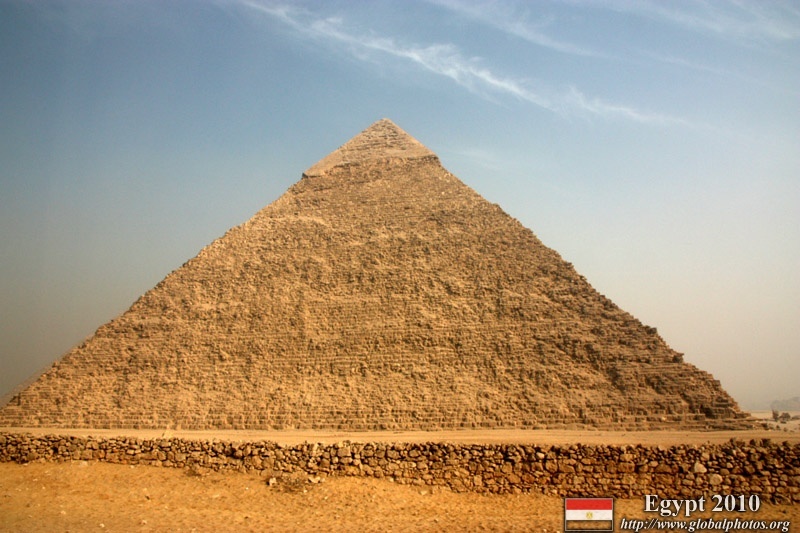 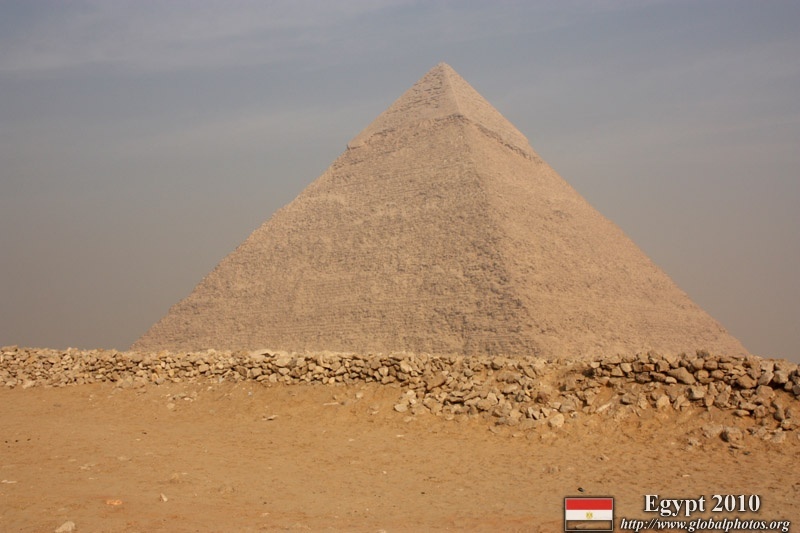 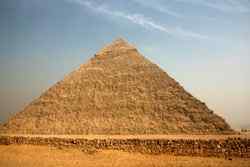 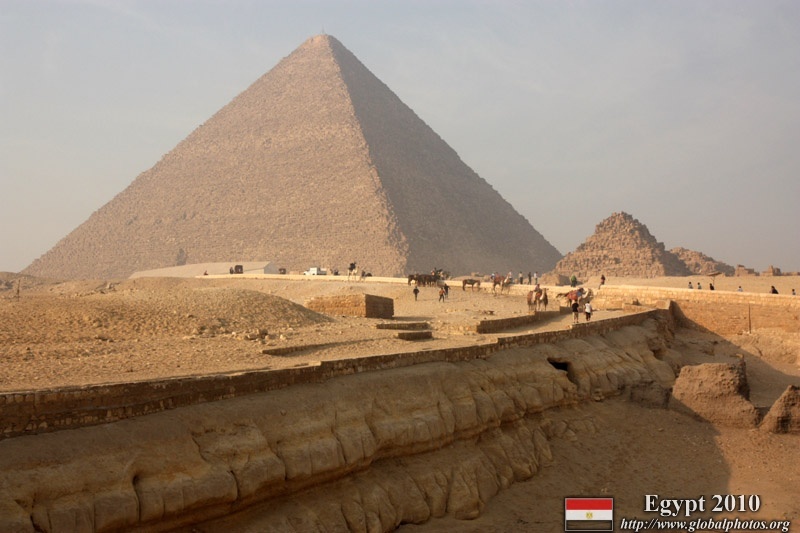 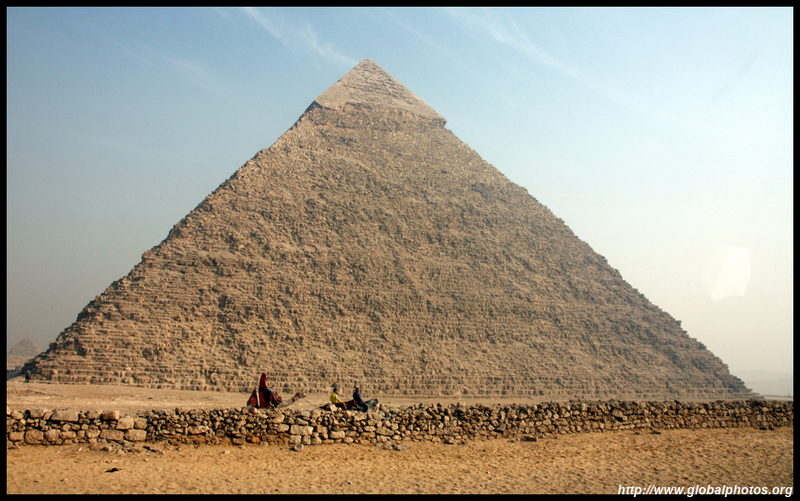 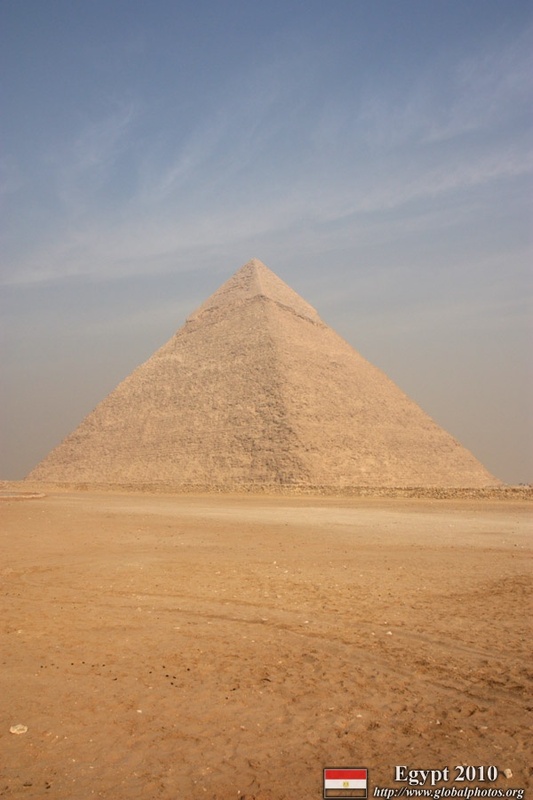 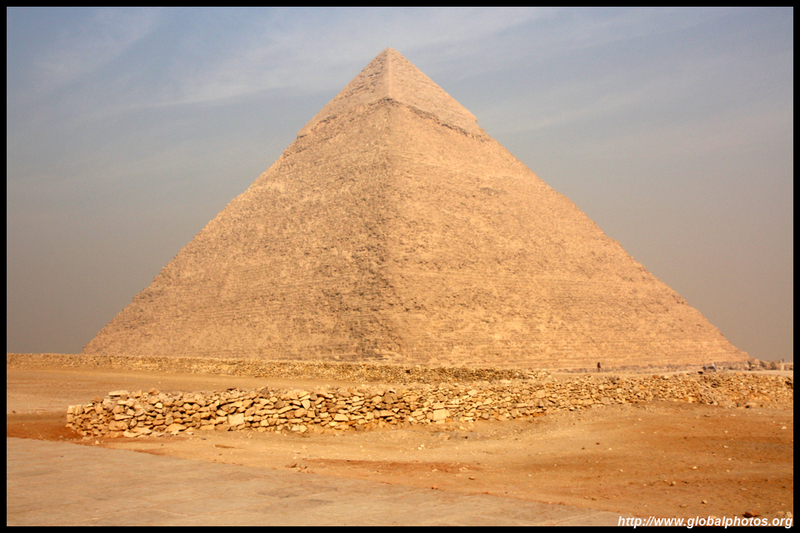 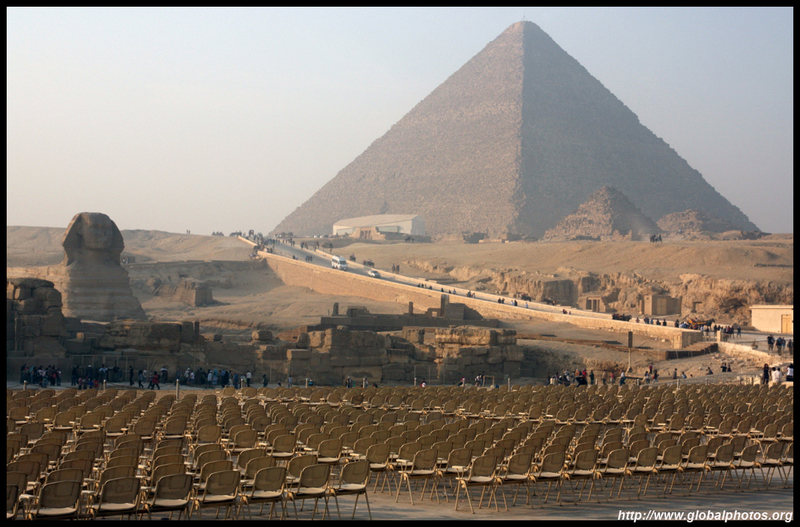 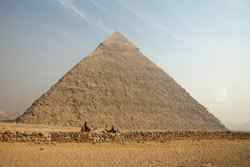 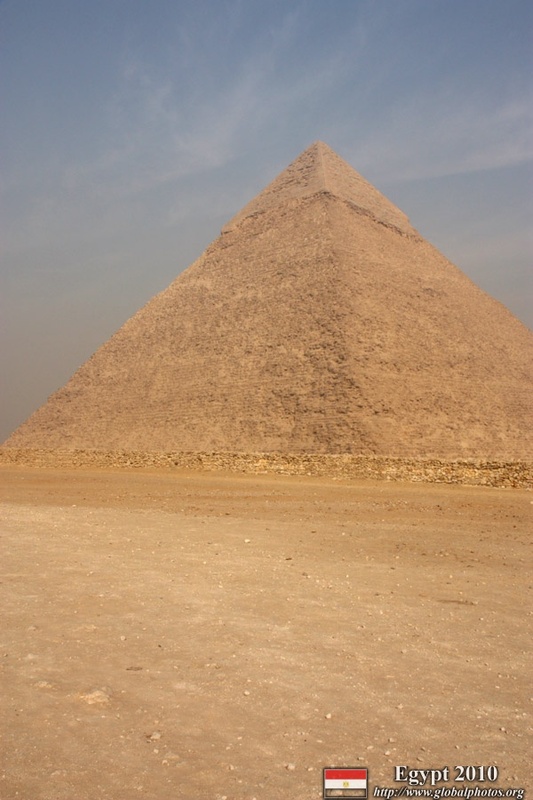 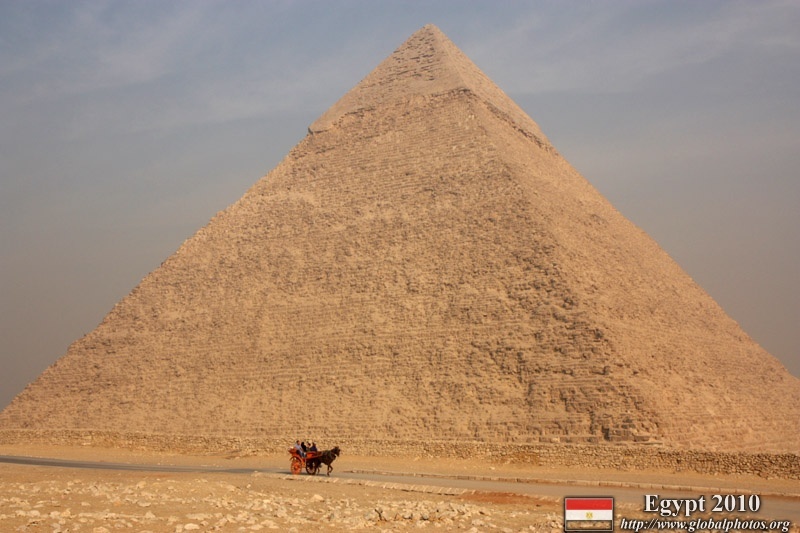 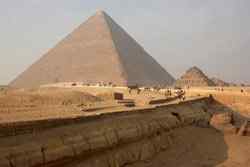 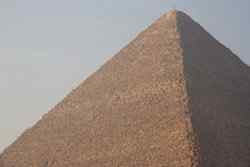 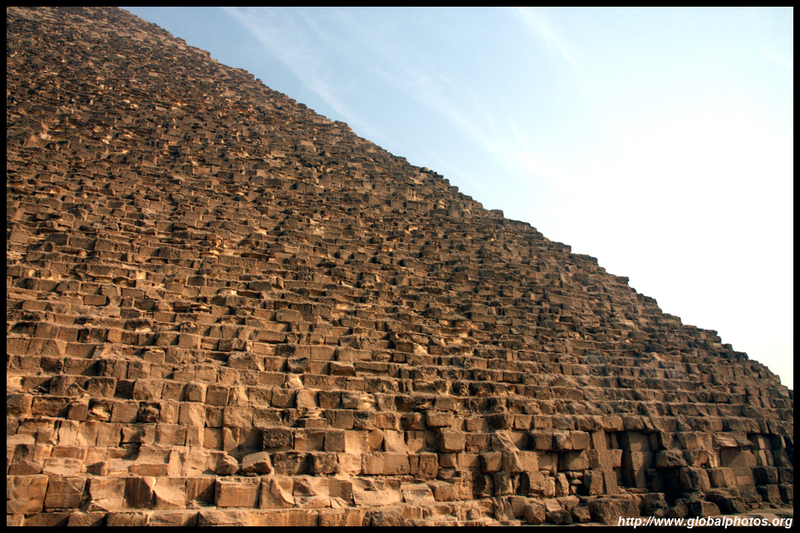 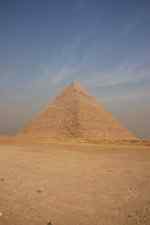 The Pyramids at Giza are amazingly impressive. 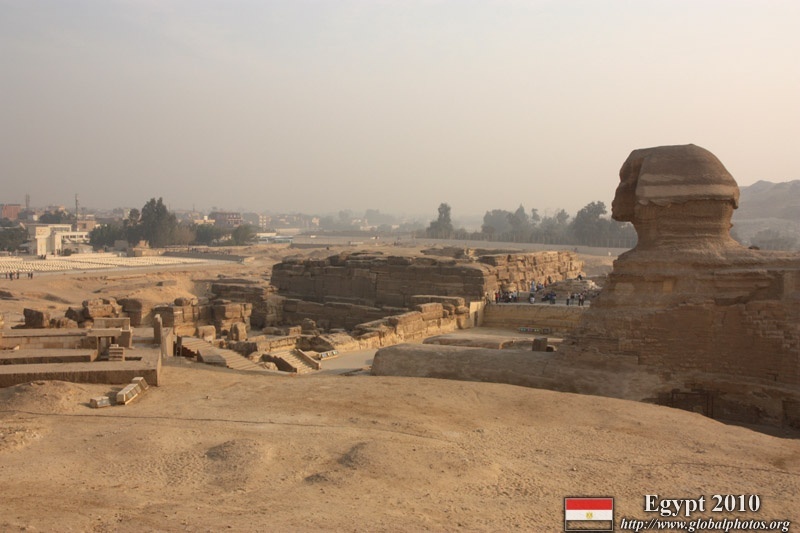 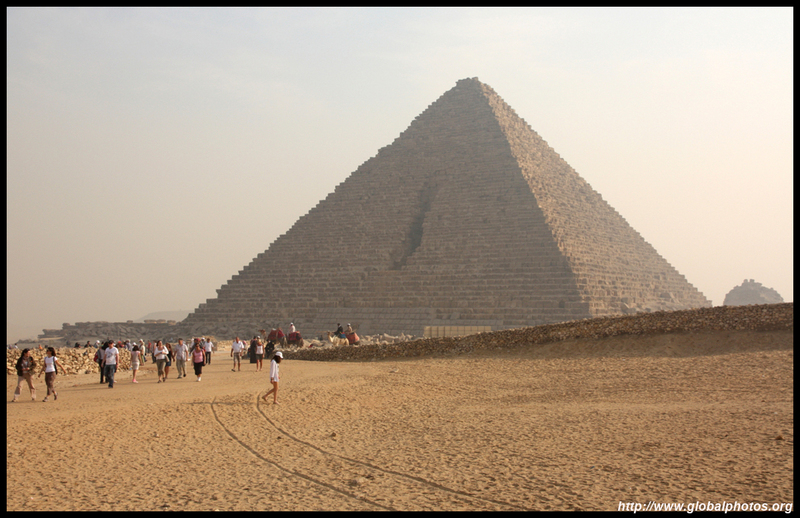 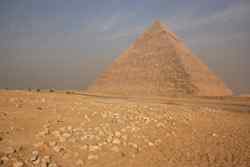 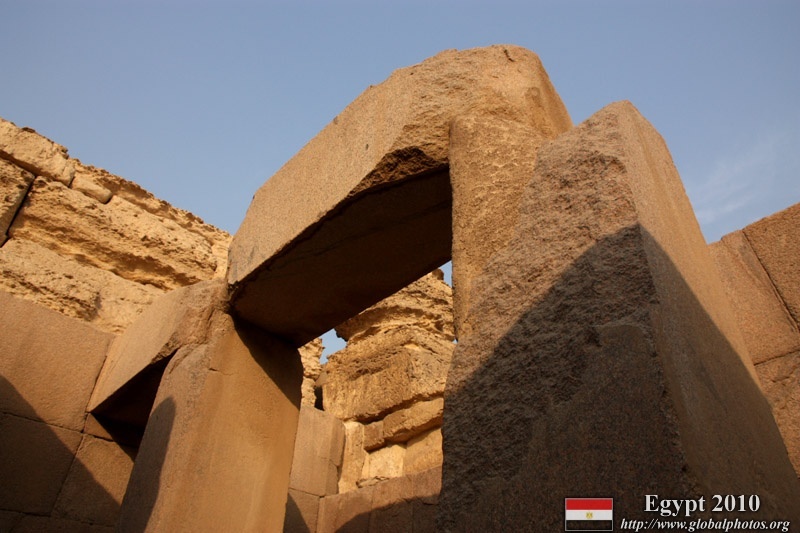 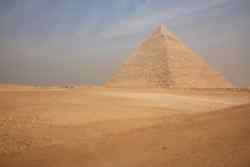 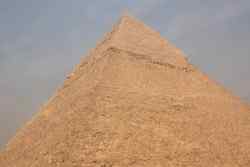 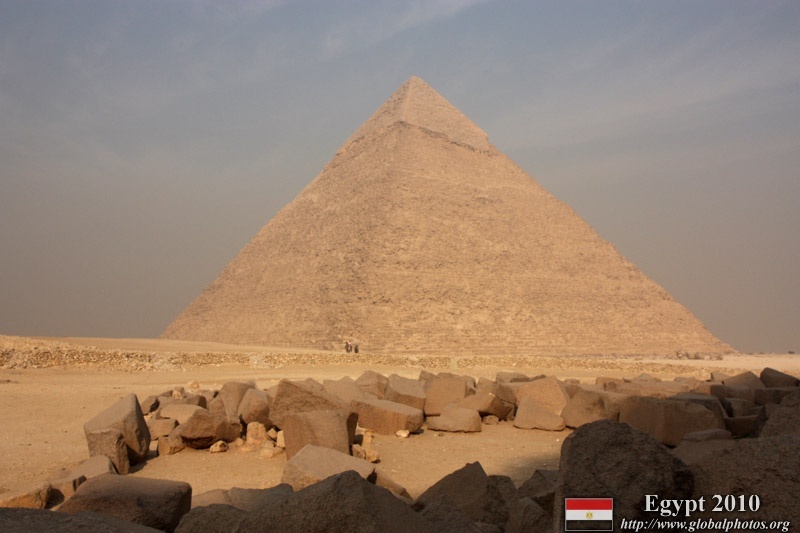 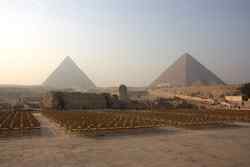 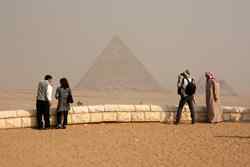 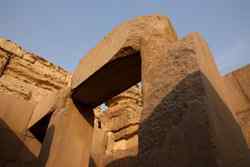 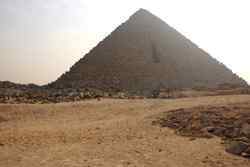 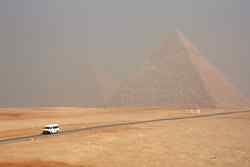 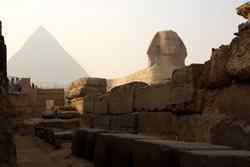 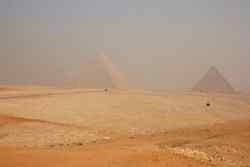 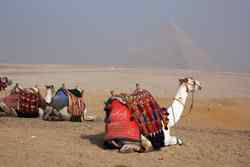 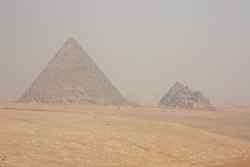 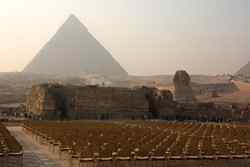 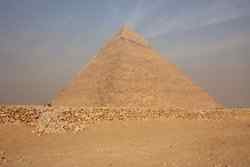 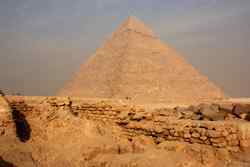 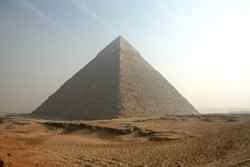 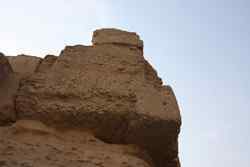 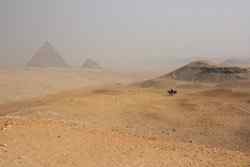 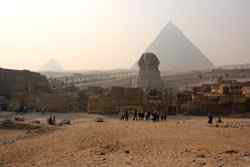 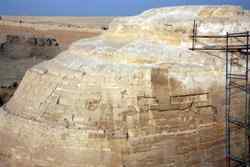 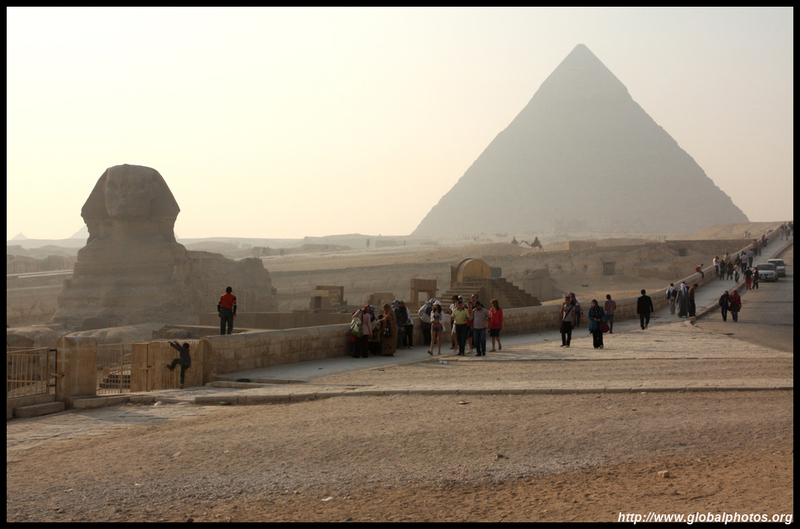 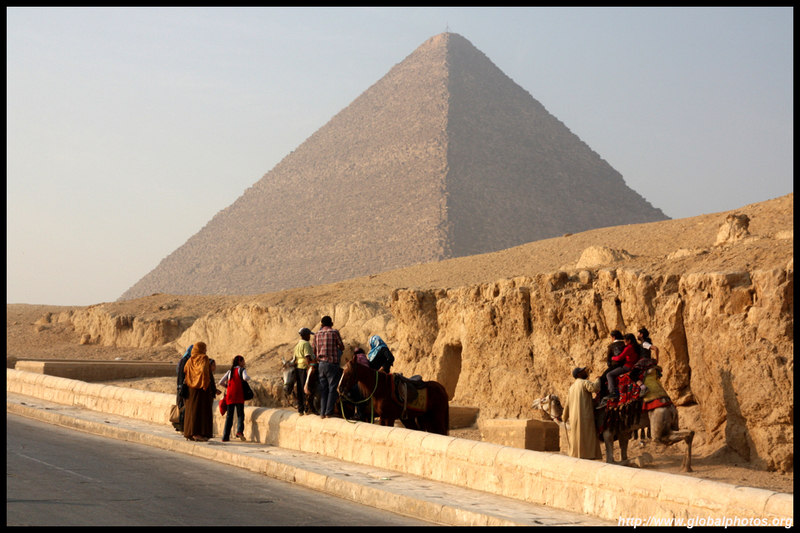 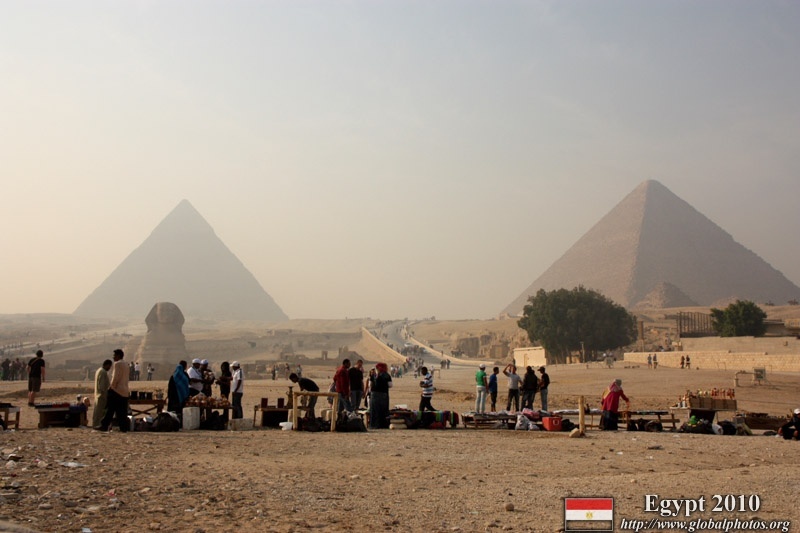 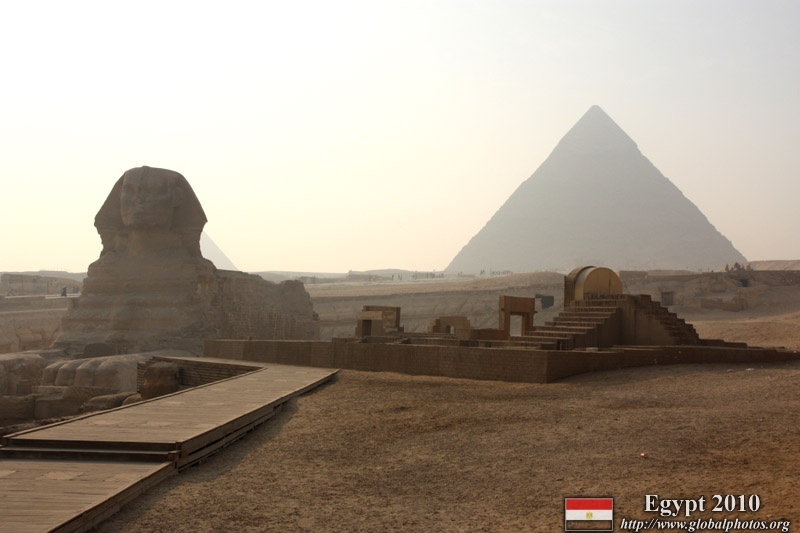 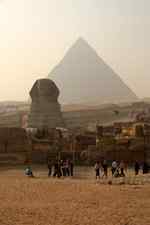 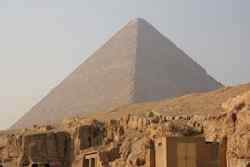 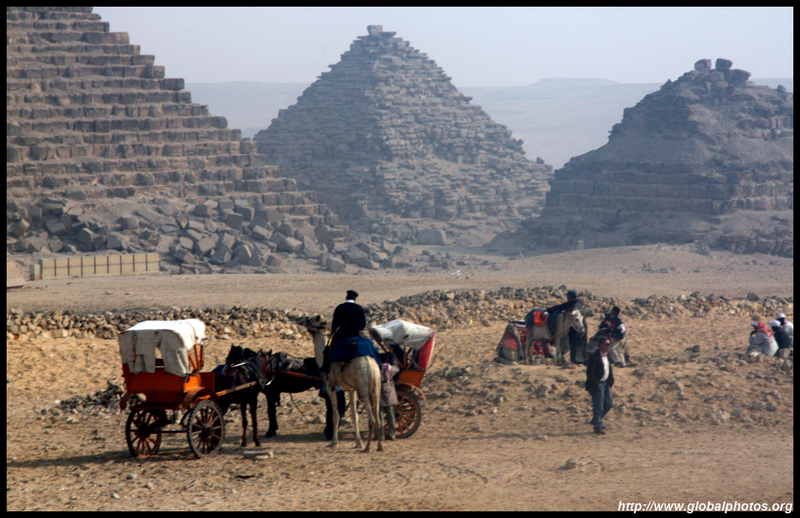 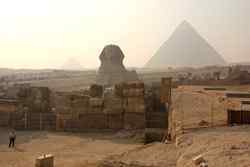 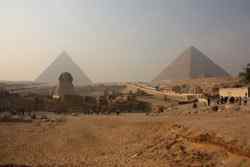 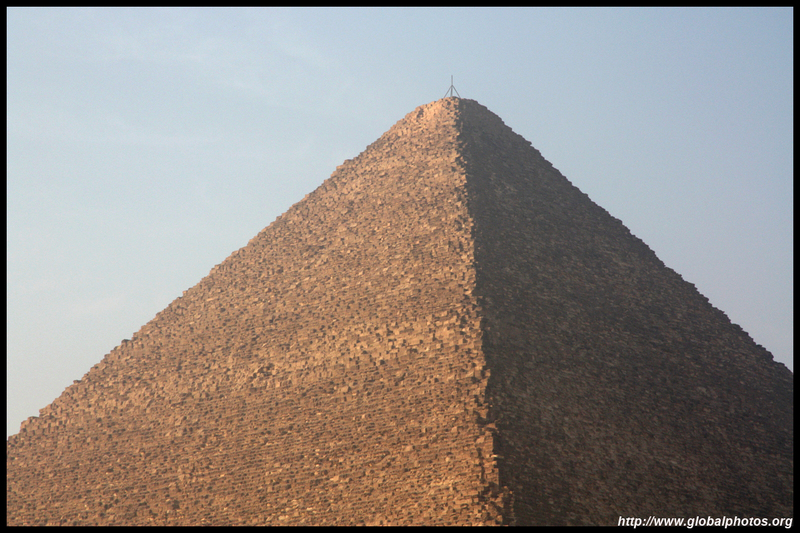 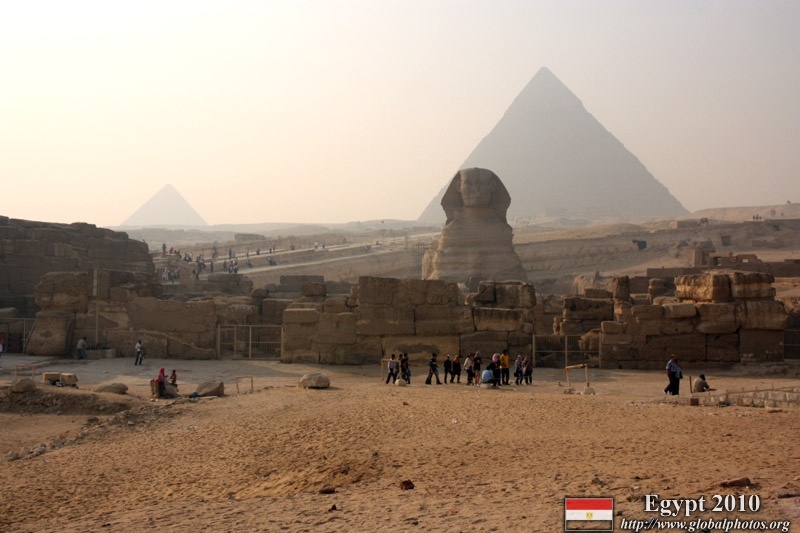 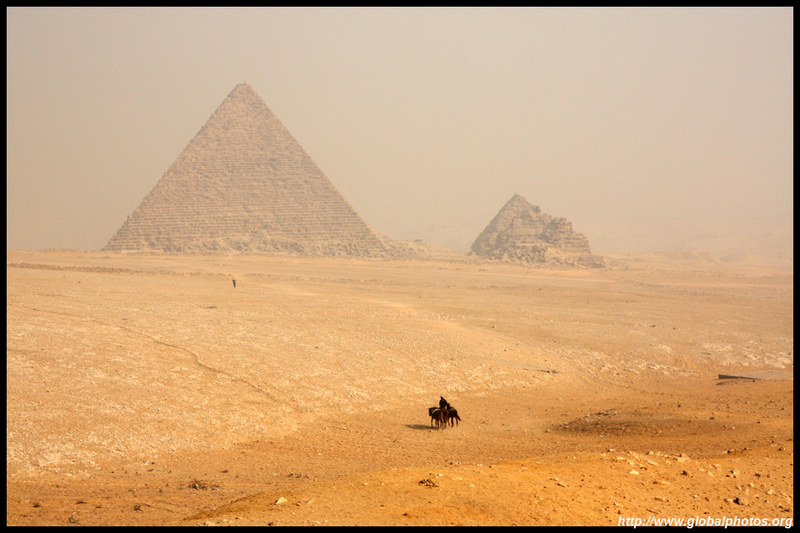 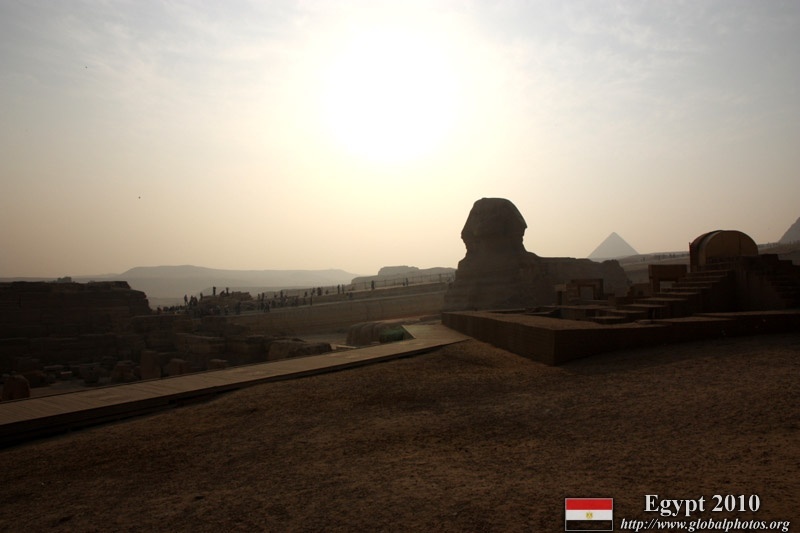 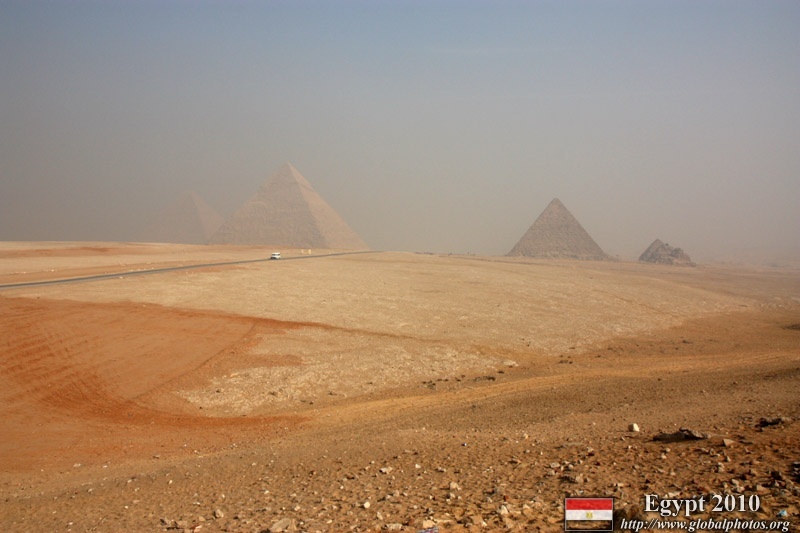 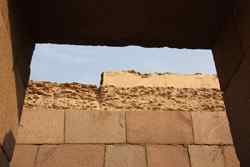 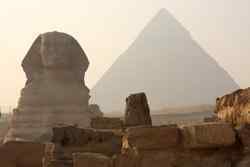 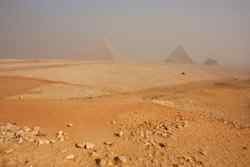 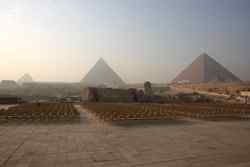 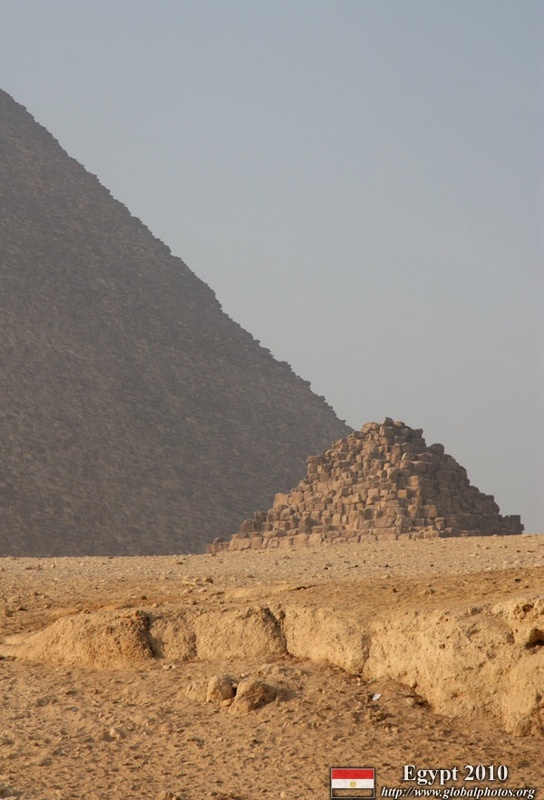 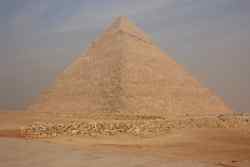 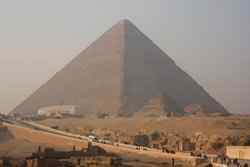 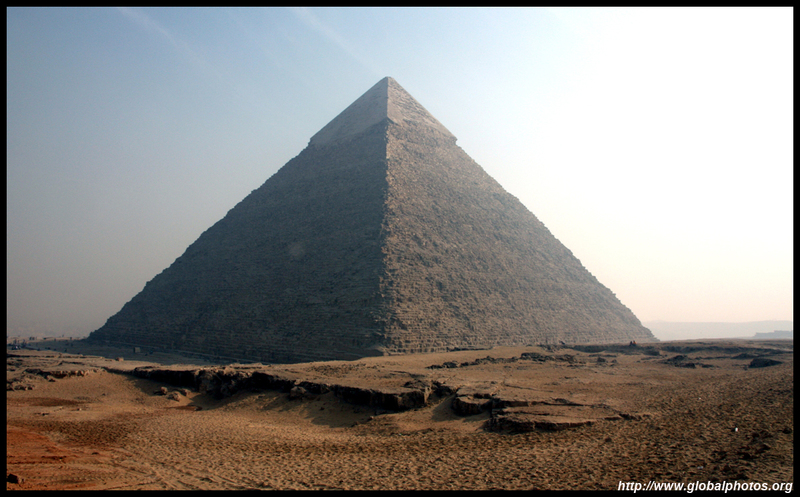 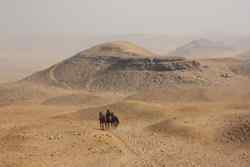 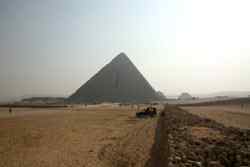 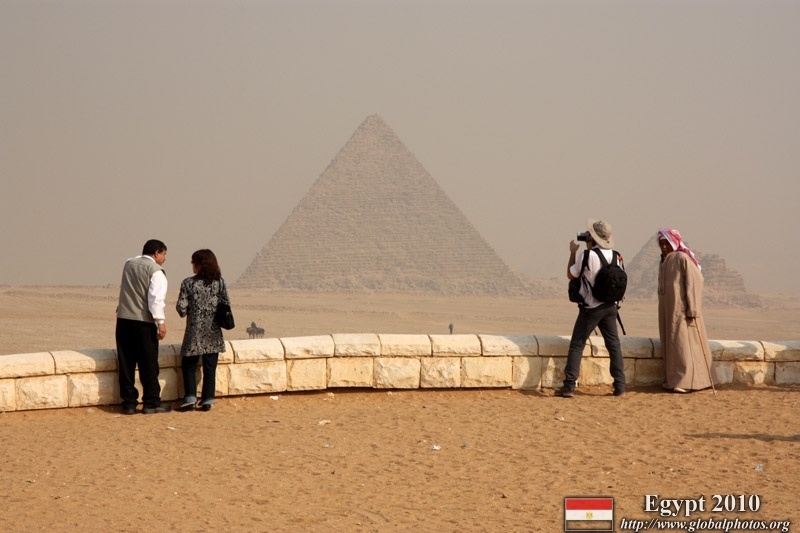 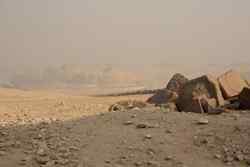 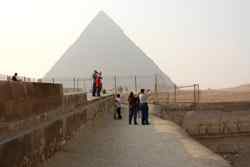 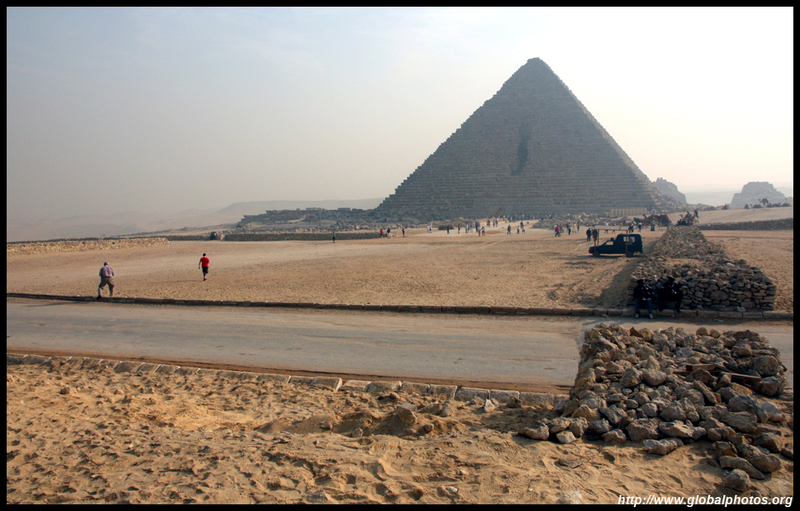 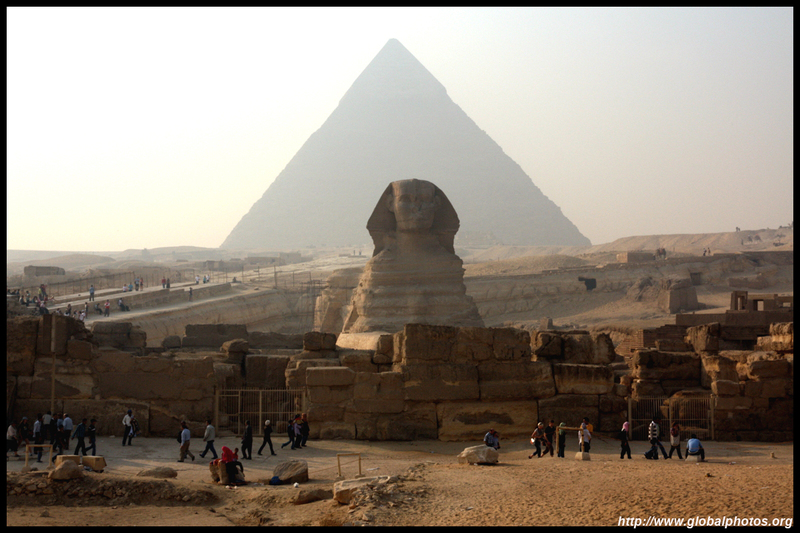 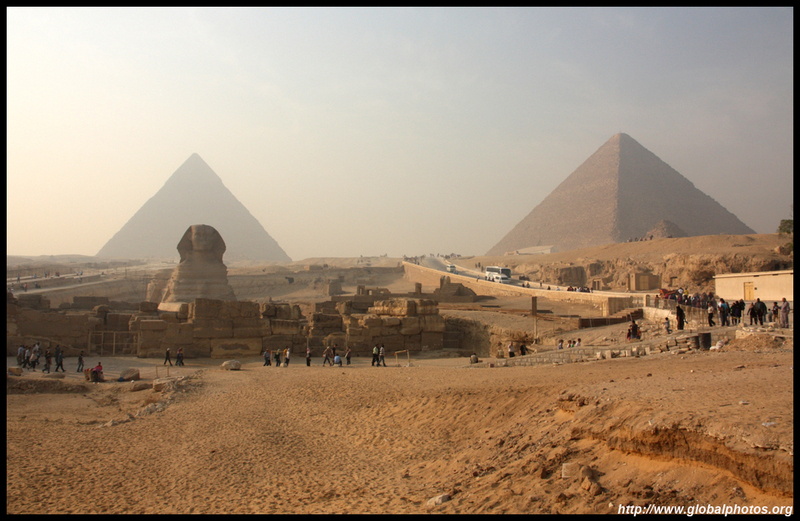 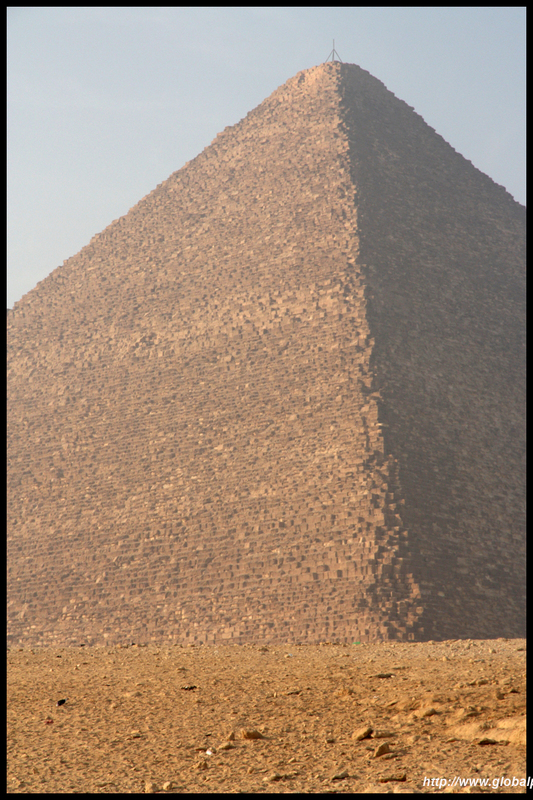 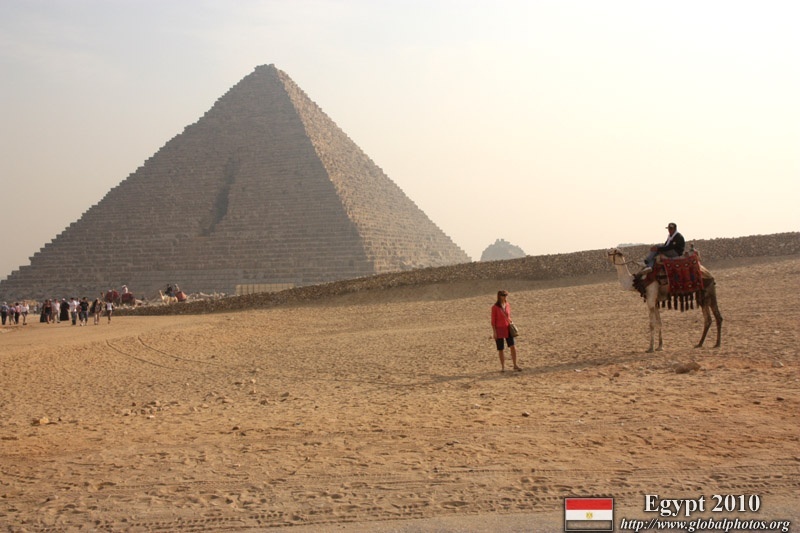 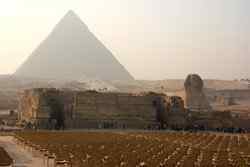 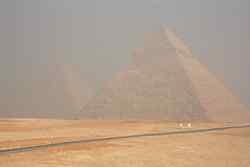 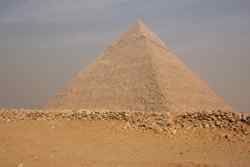 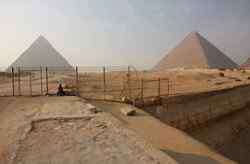 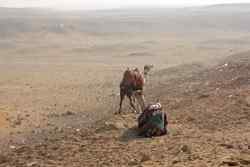 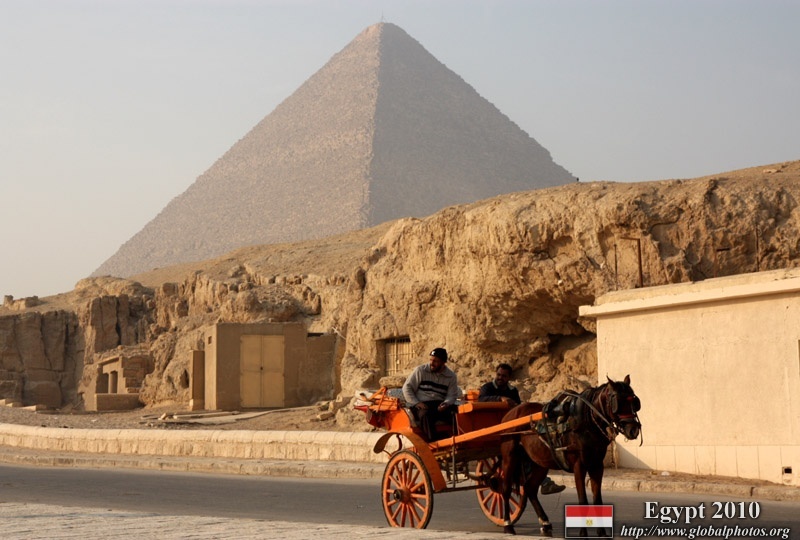 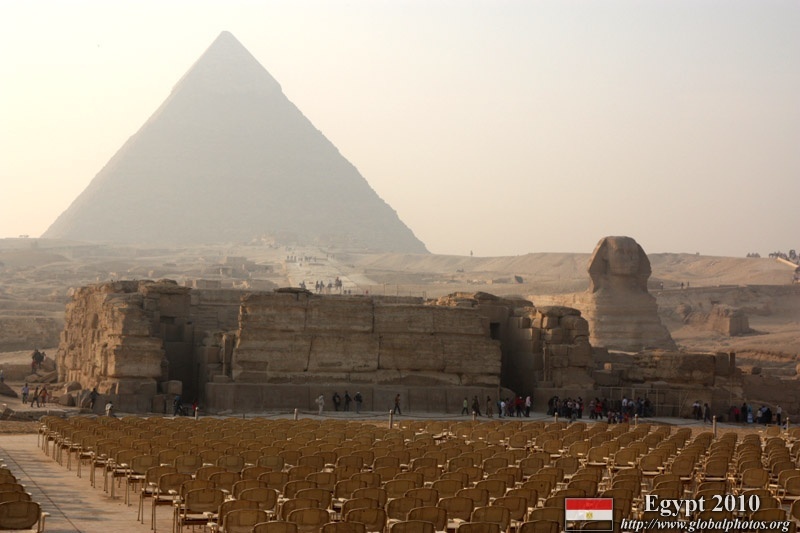 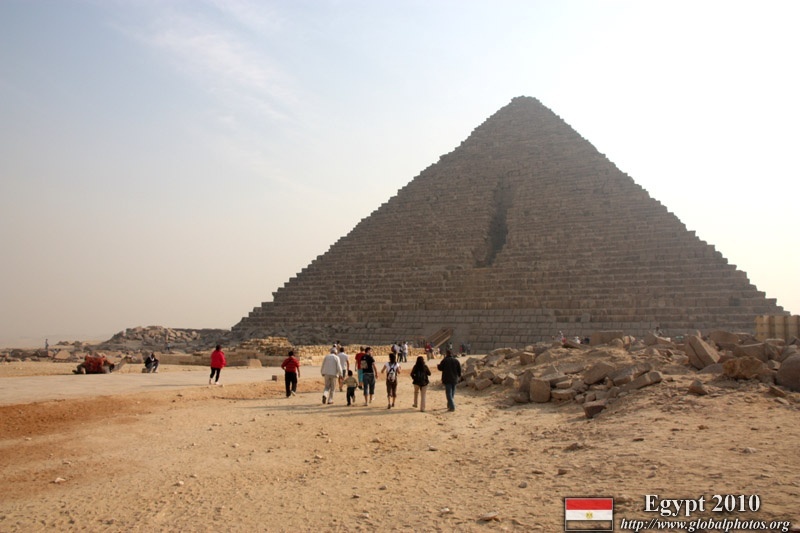 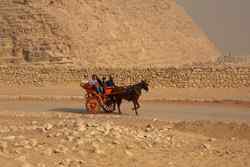 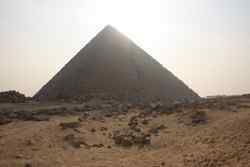 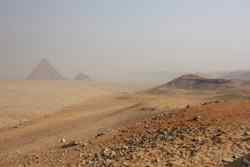 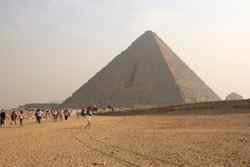 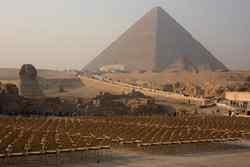 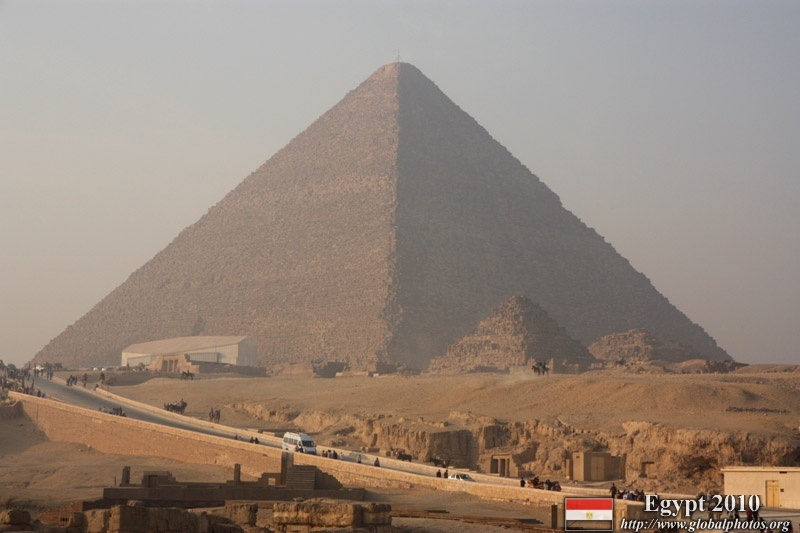 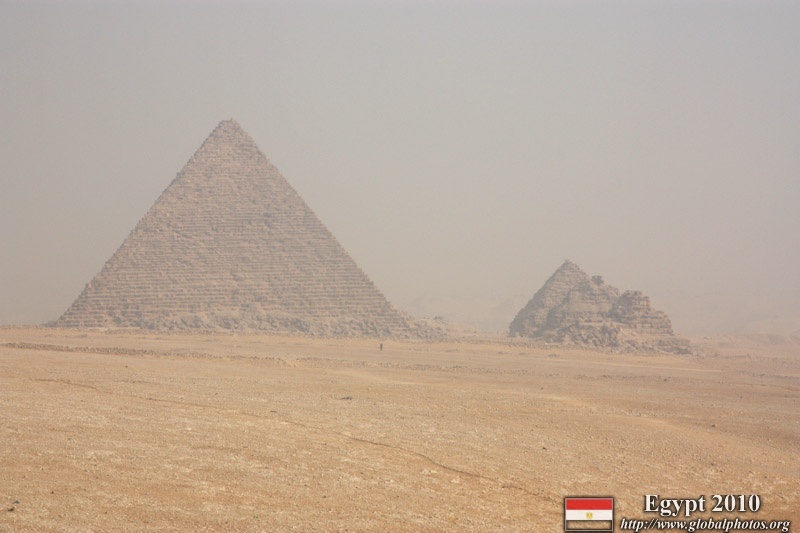 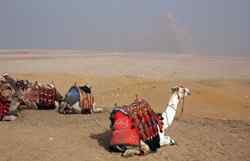 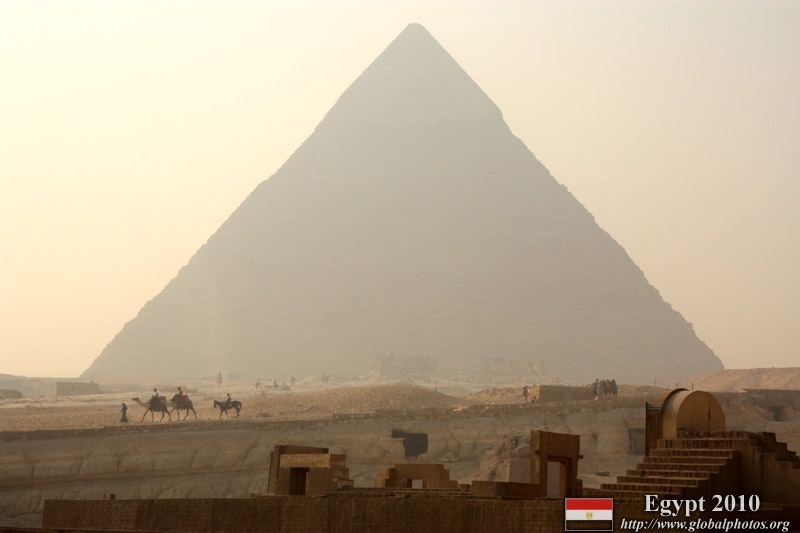 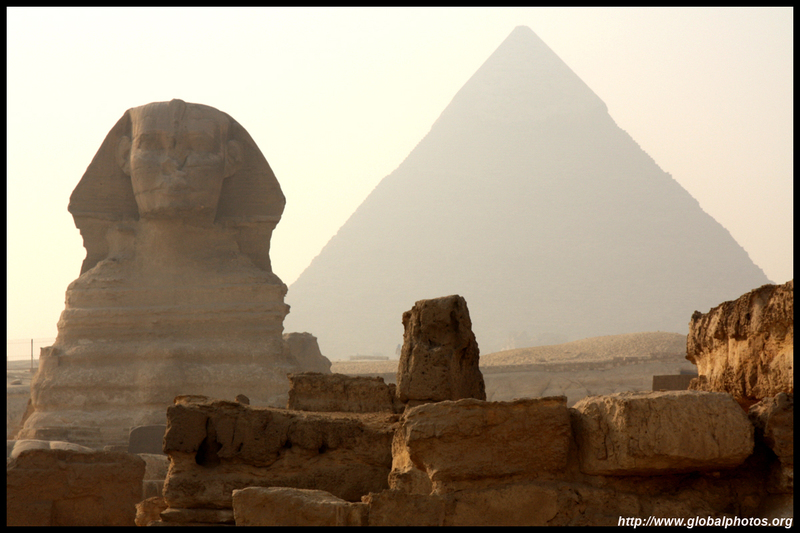 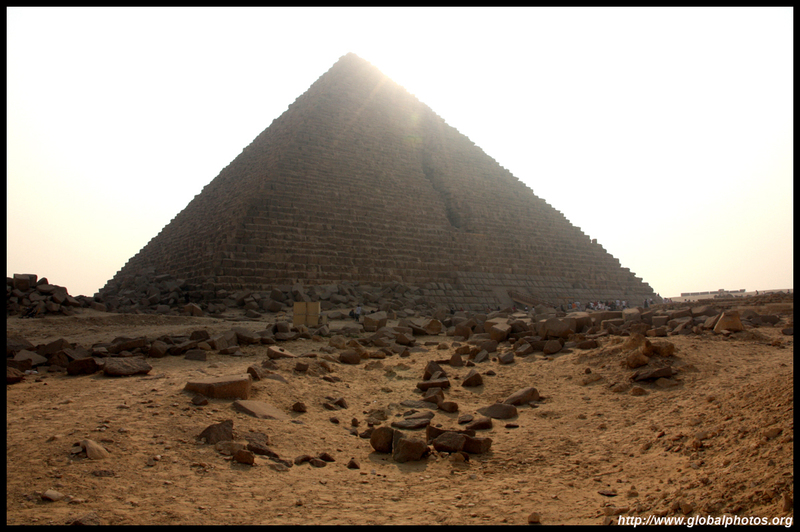 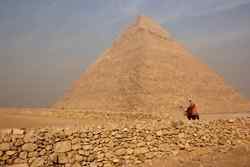 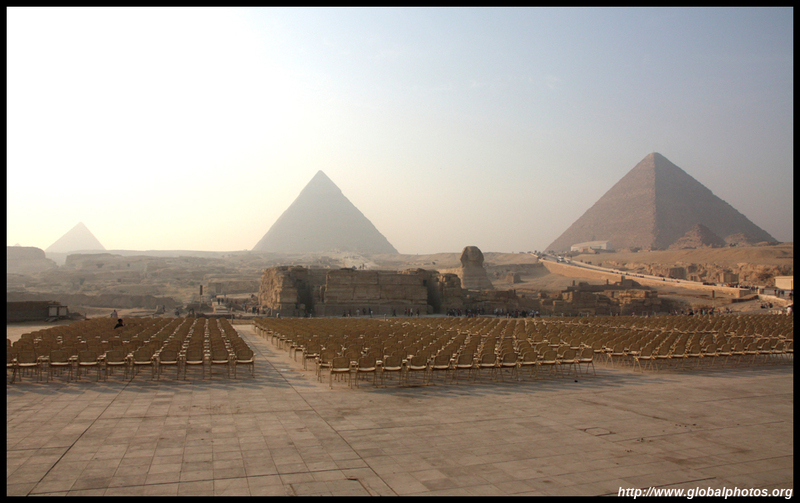 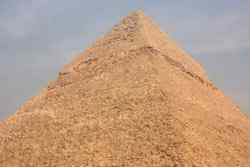 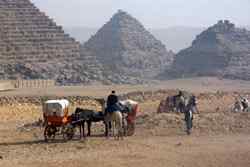 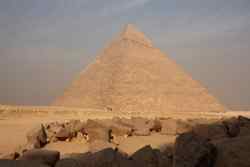 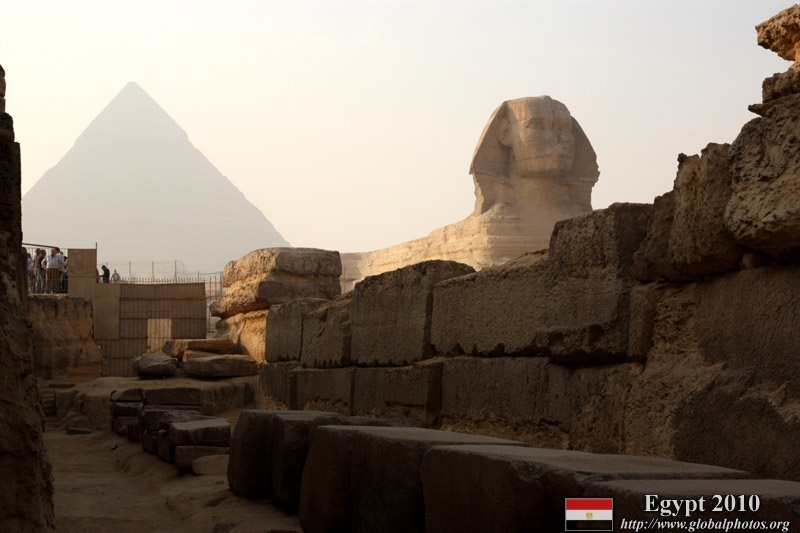 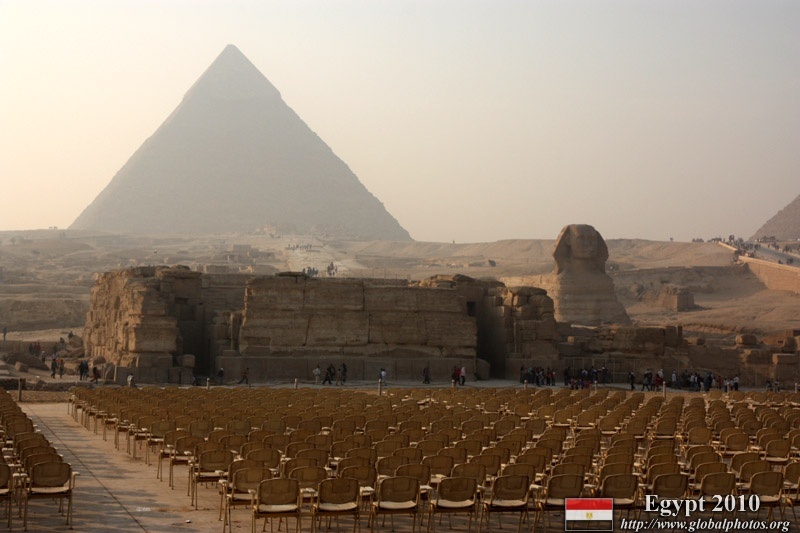 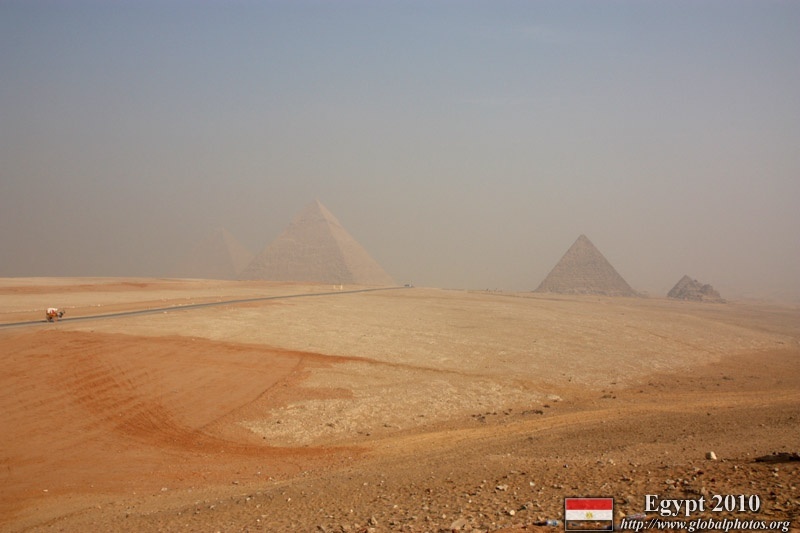 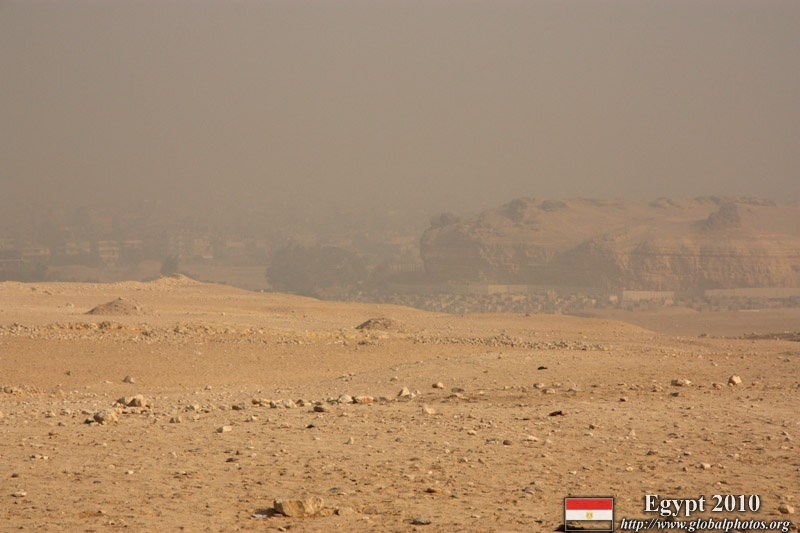 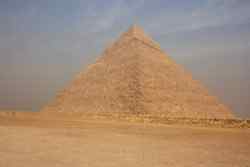 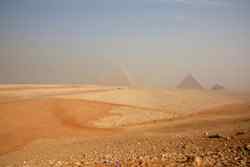 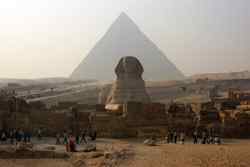 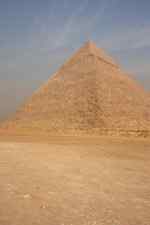 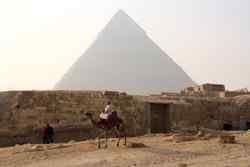 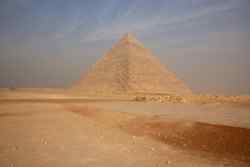 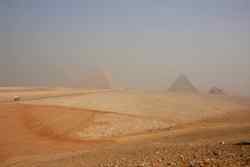 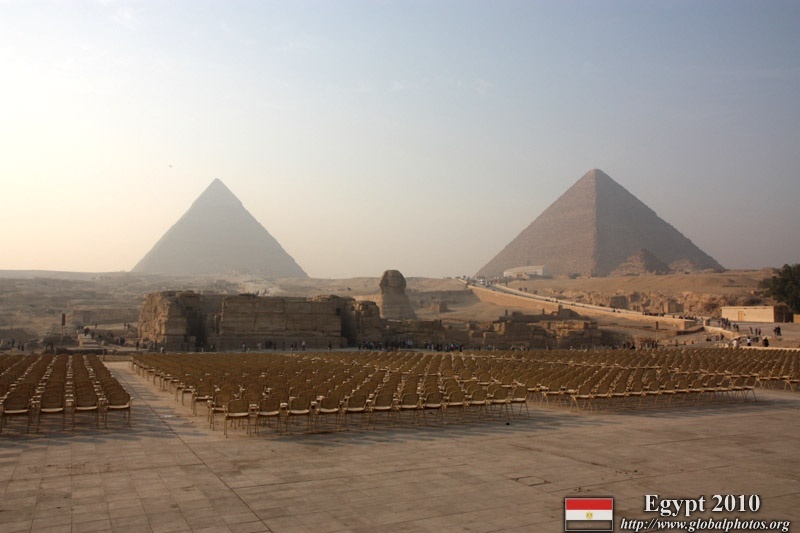 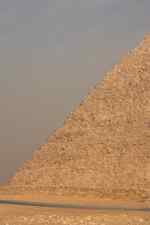 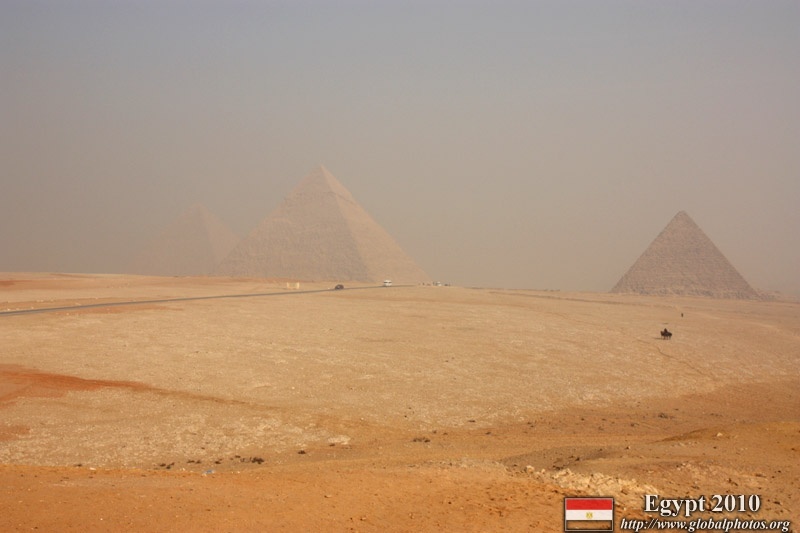 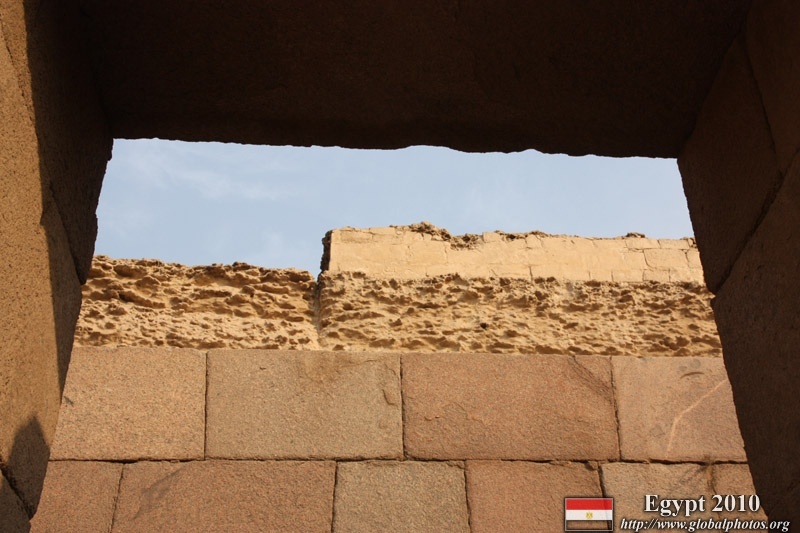 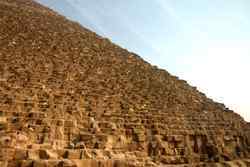 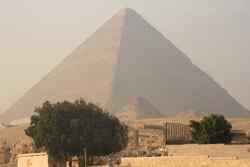 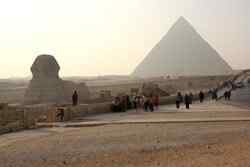 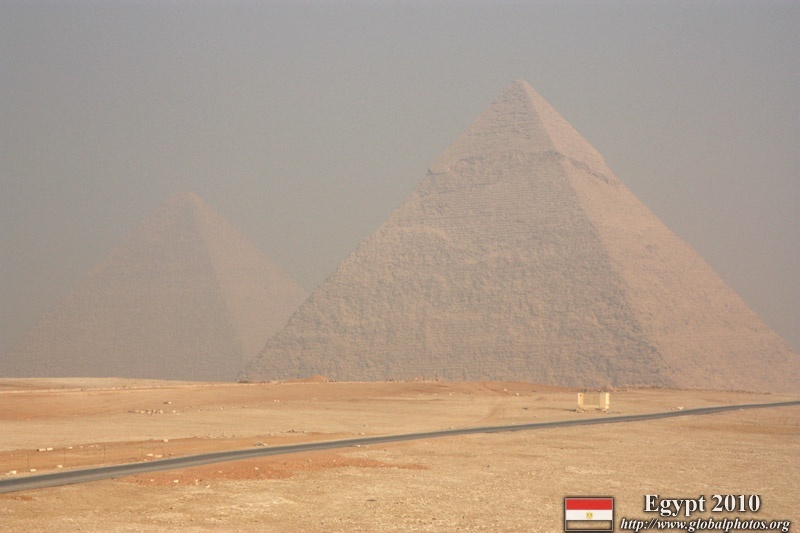 Although smoggy and dusty, it was still possible to see the pyramids' outlines, and admire at the ancient Egyptian's knowledge and expertise. 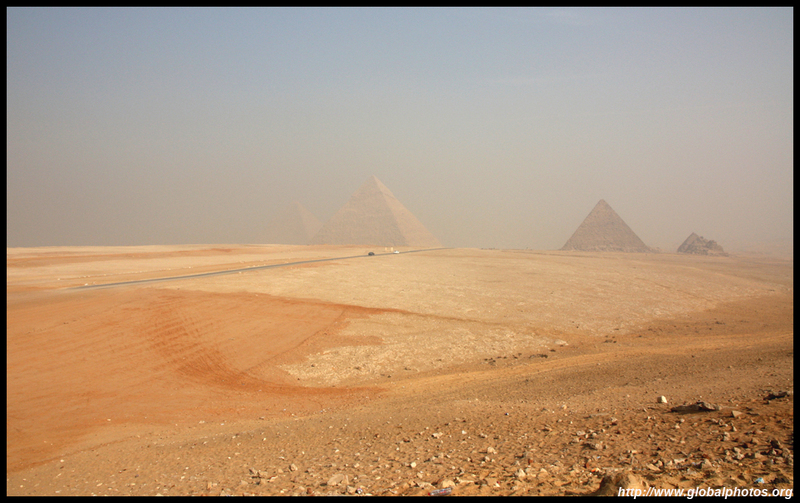 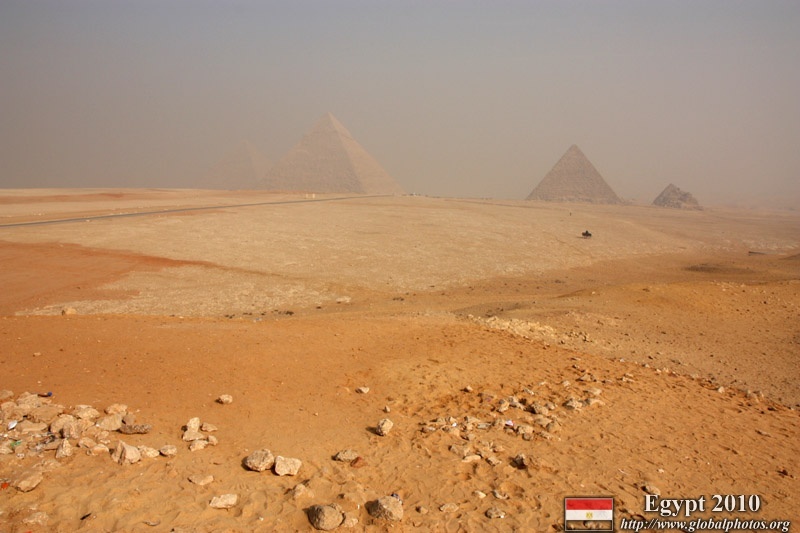 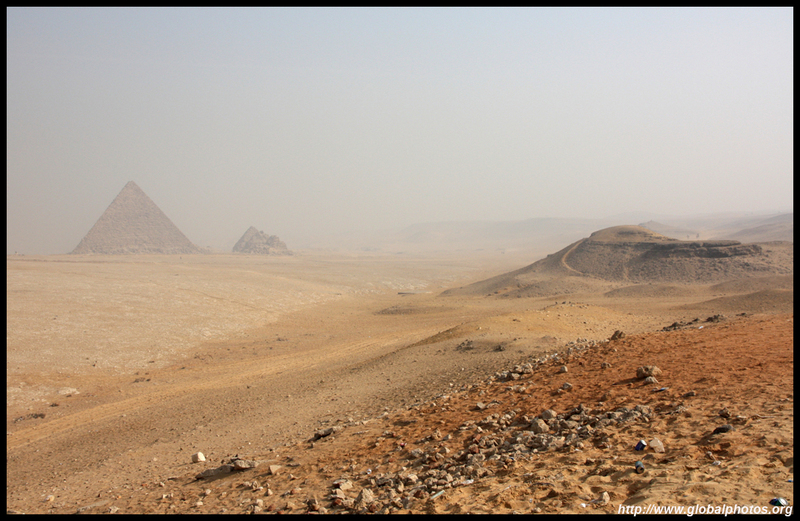 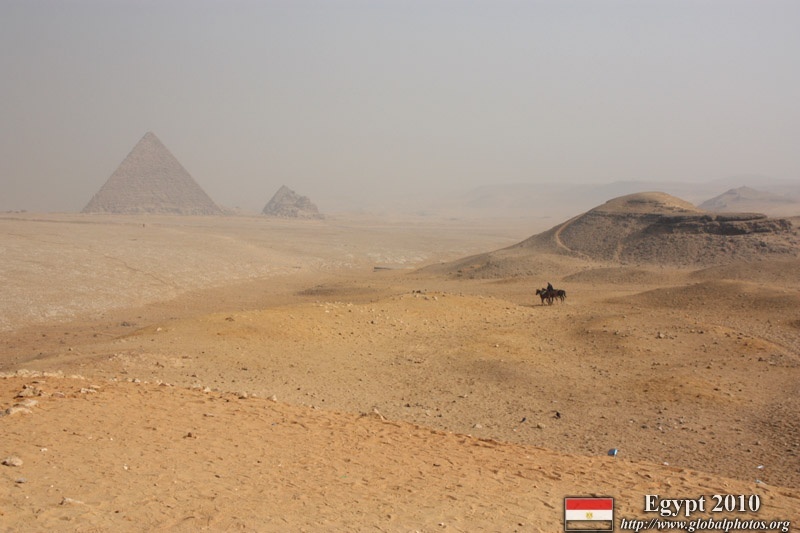 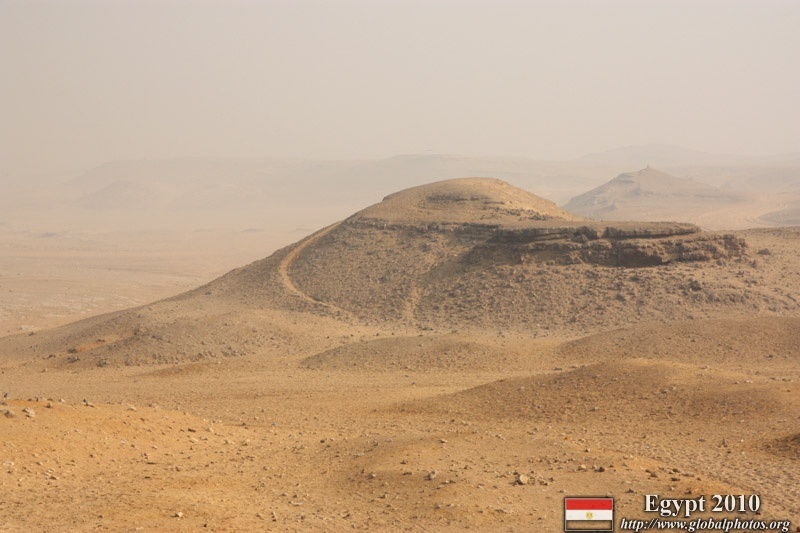 An observation area is situated well distant enough to capture all 3 key pyramids in one photo. 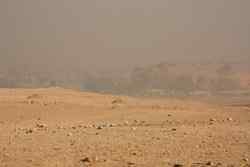 I wasn't used to all that dust in the air, but then, I'm in the desert after all. 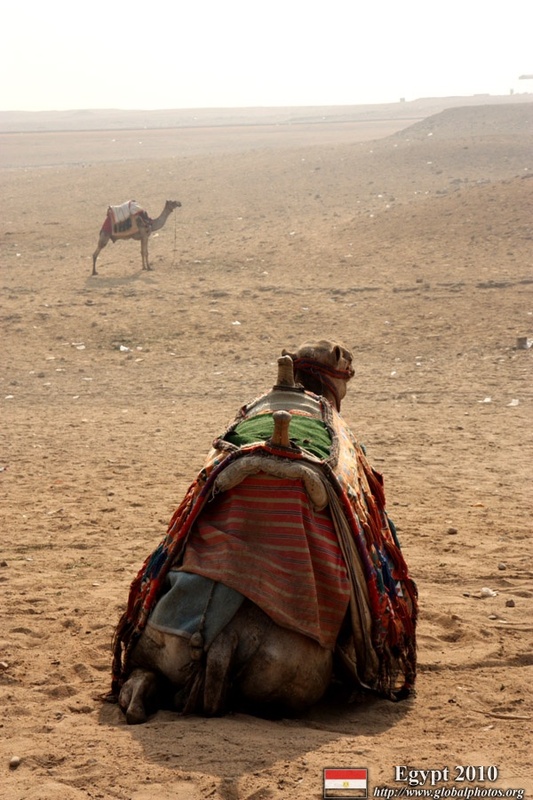 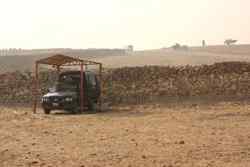 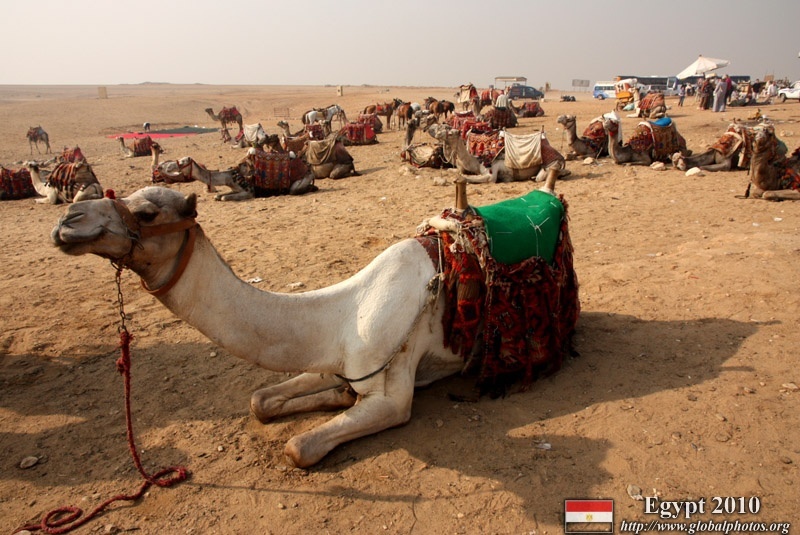 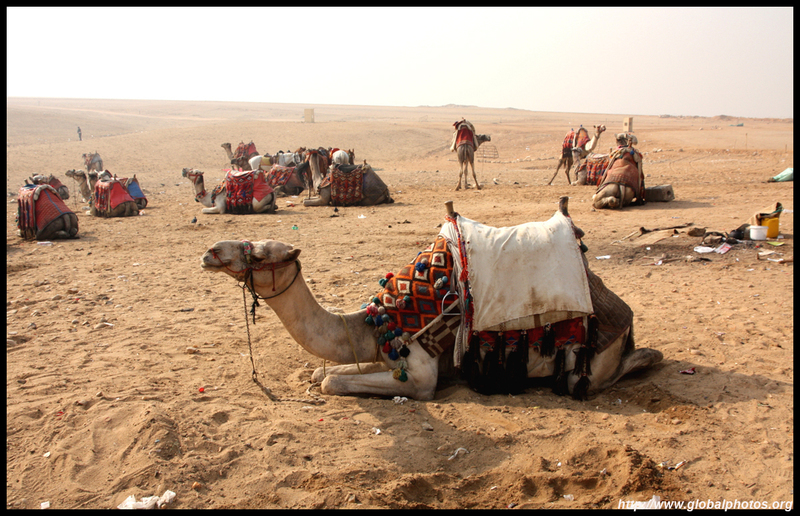 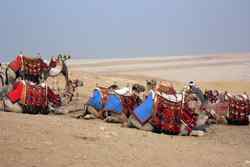 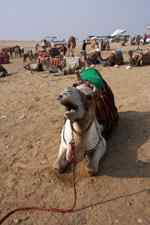 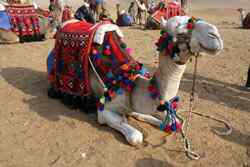 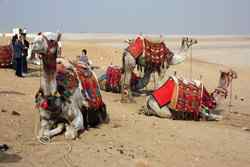 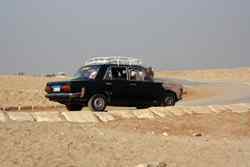 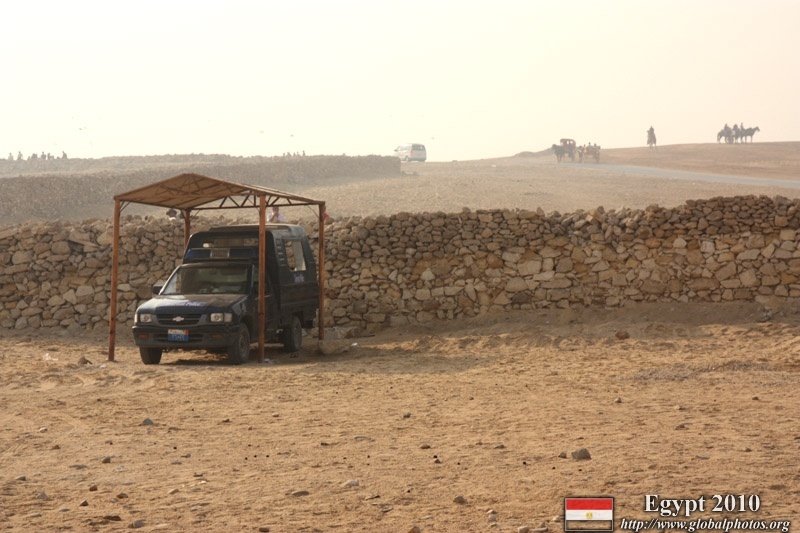 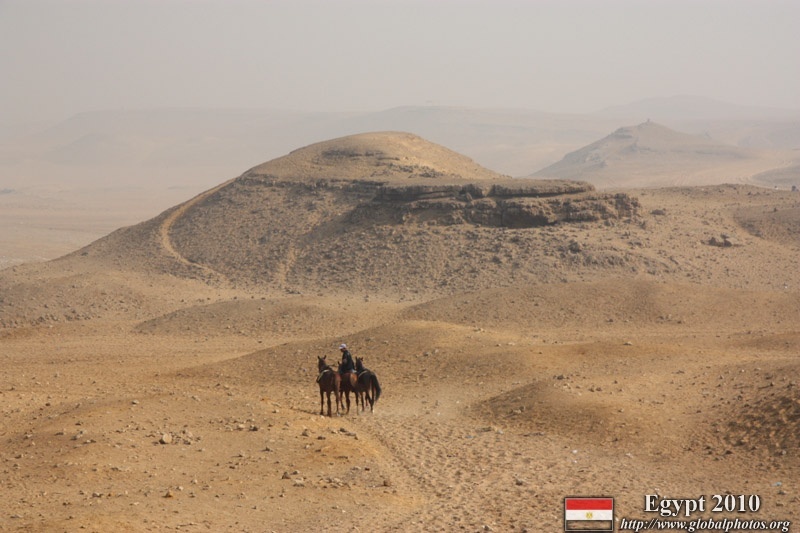 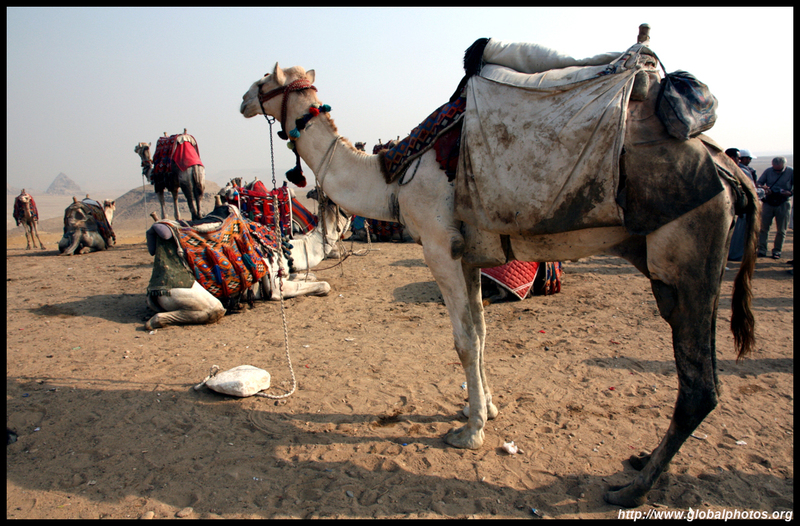 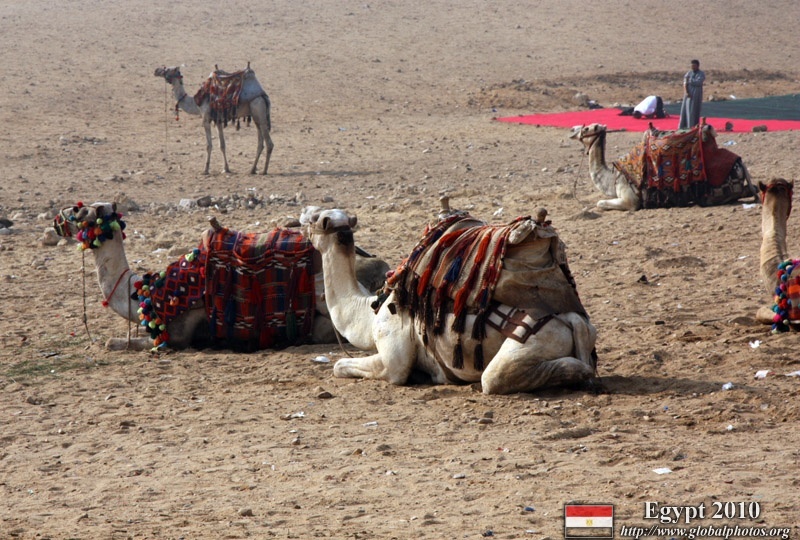 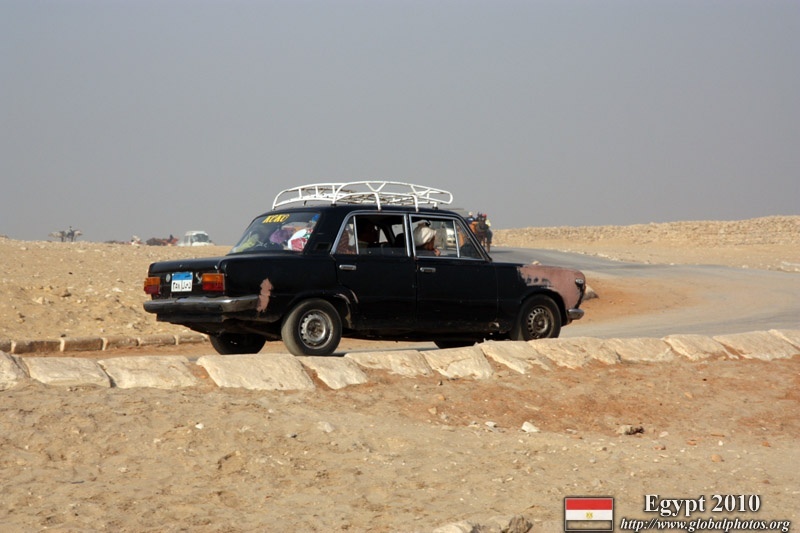 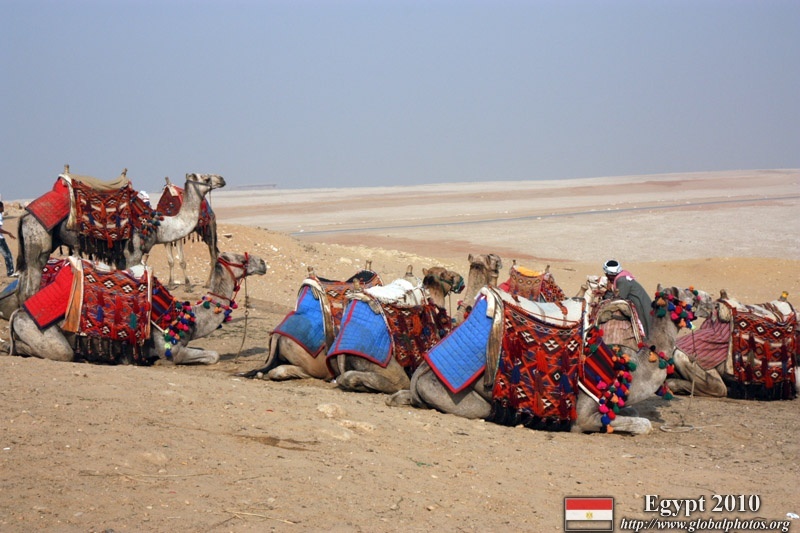 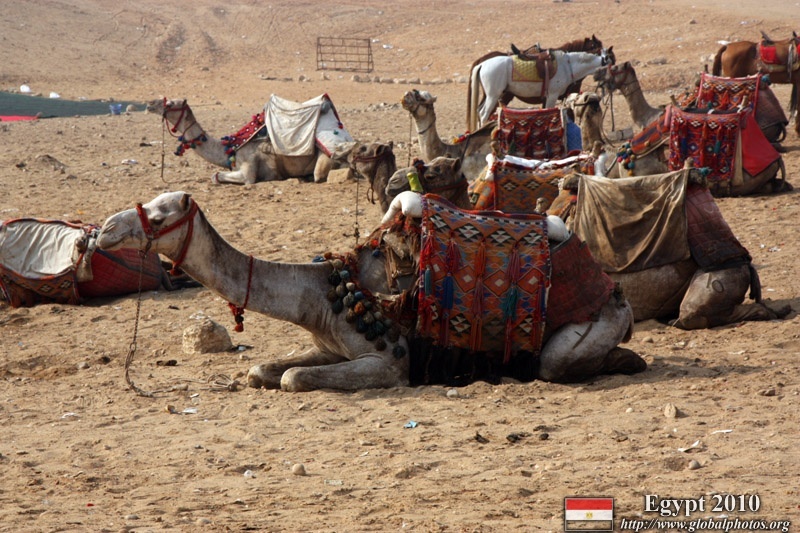 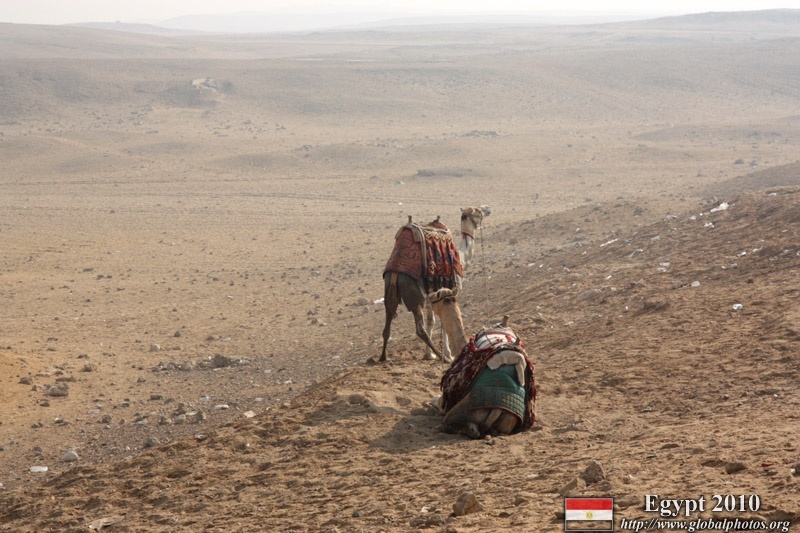 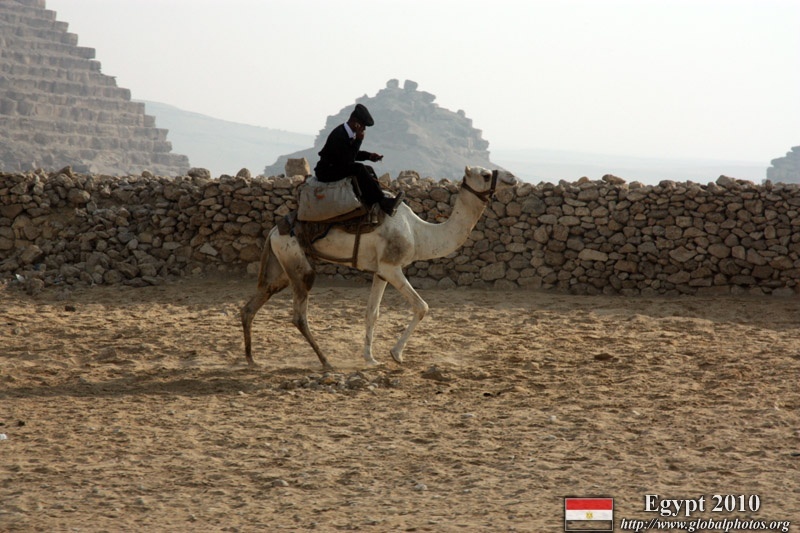 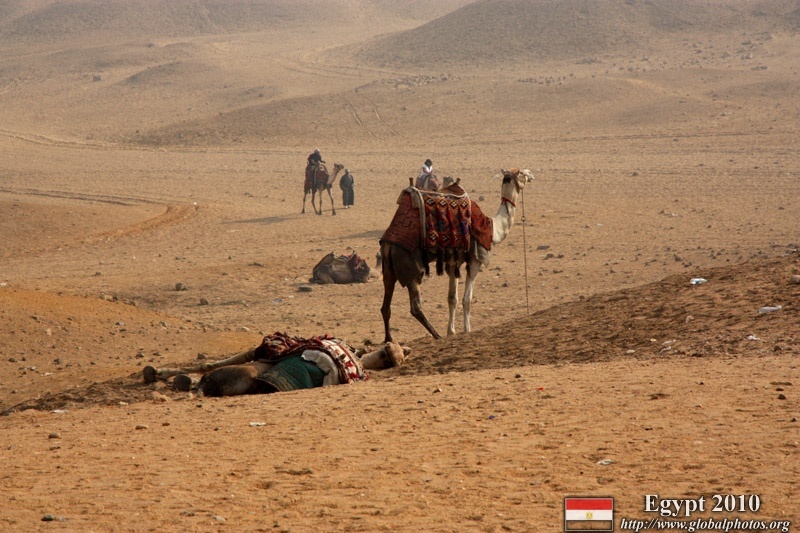 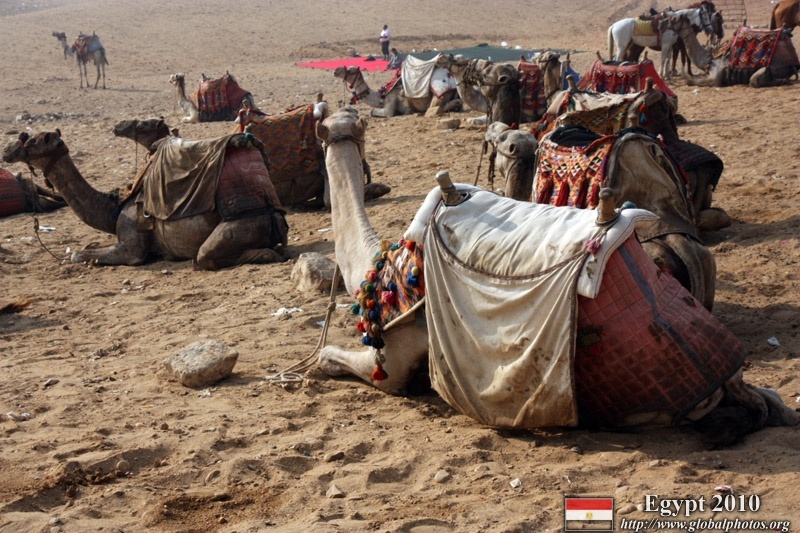 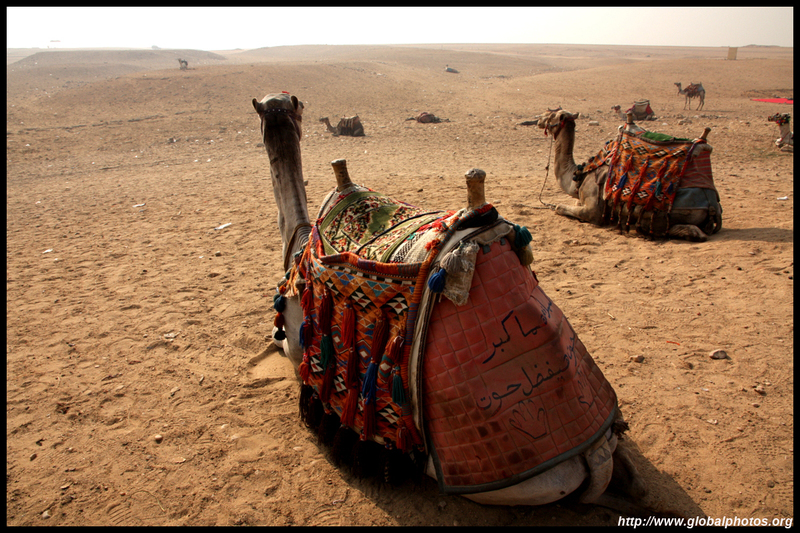 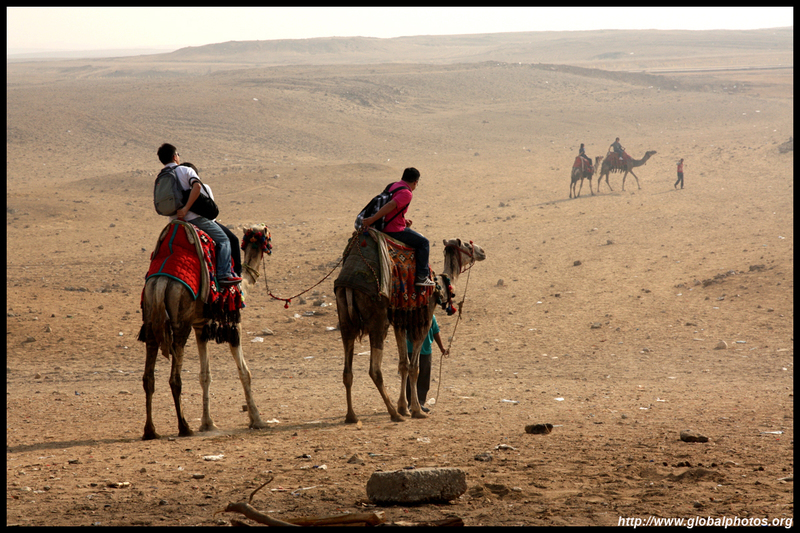 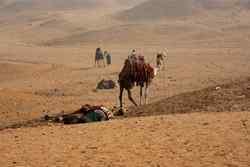 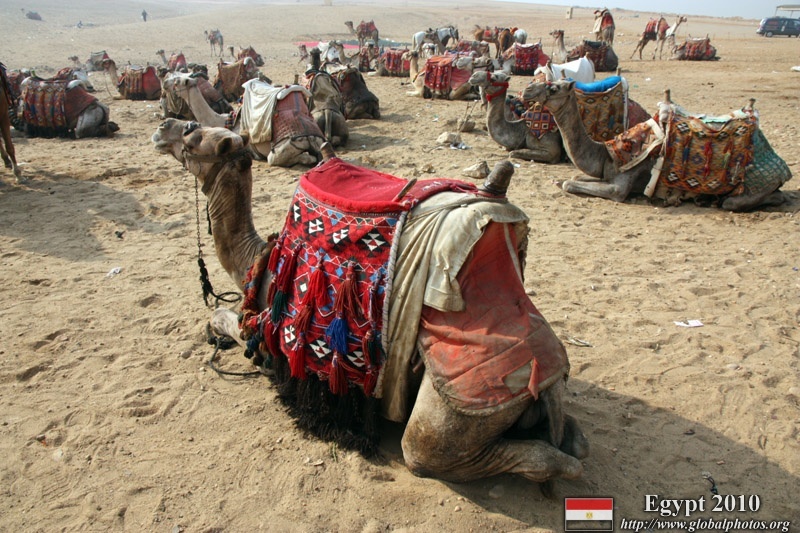 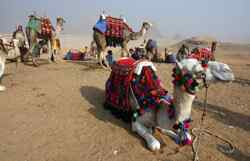 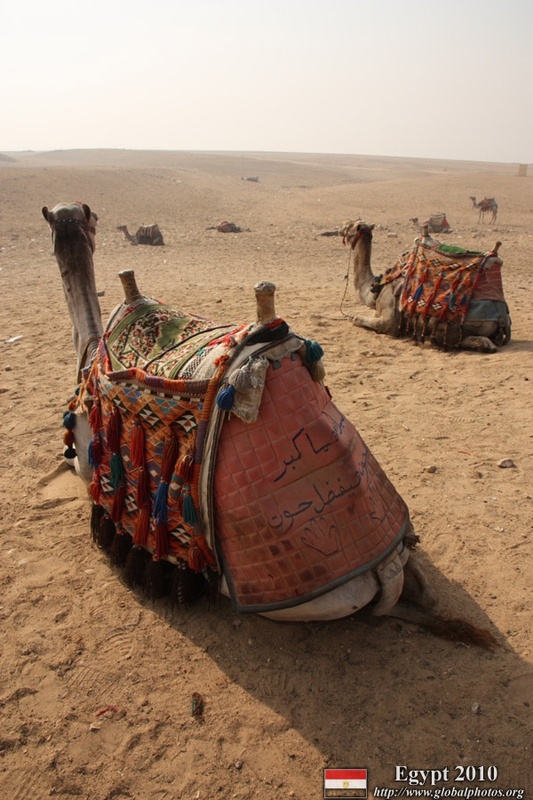 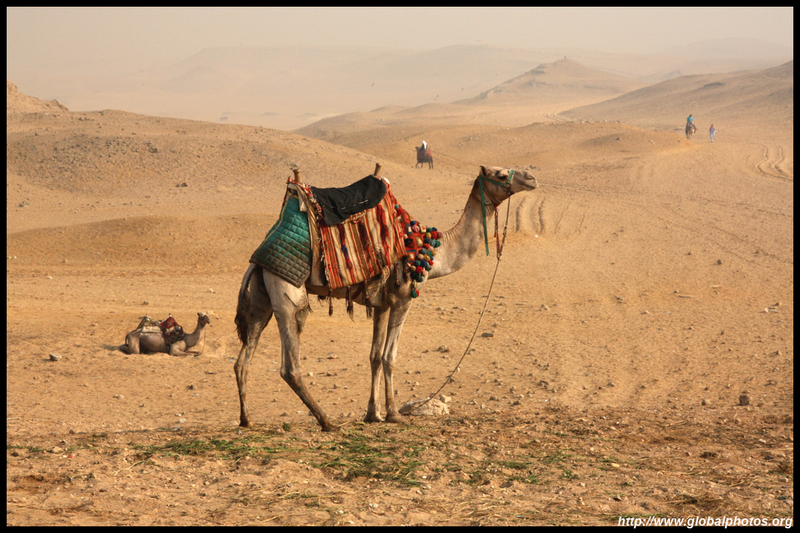 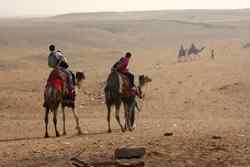 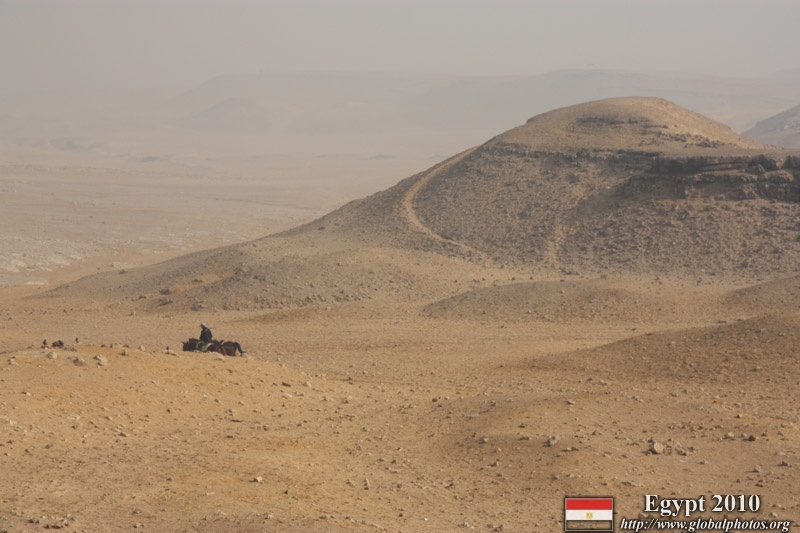 This was also the place where I rode a camel for the first time. 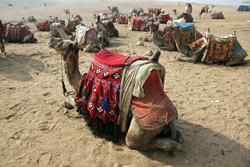 They're a bit hard to maneuvre, and when they get up, the force is enough to throw people onto the ground. 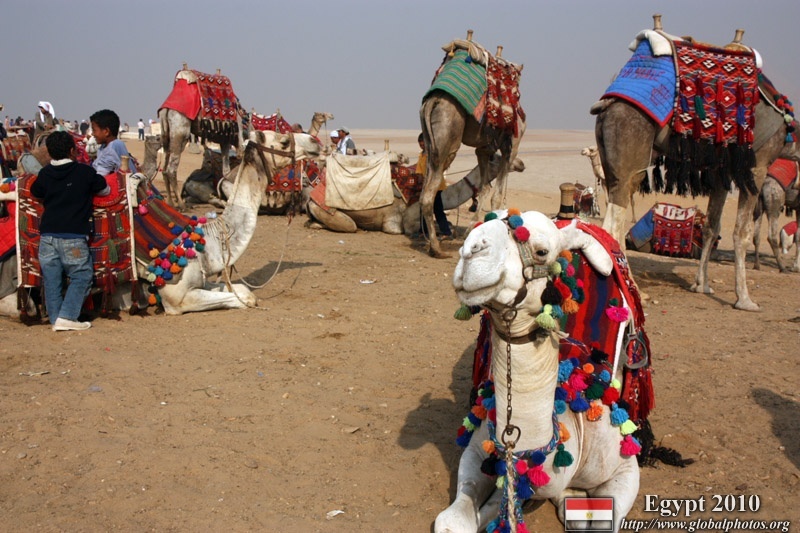 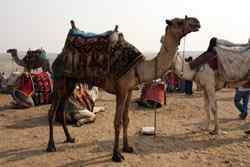 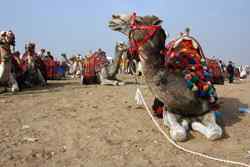 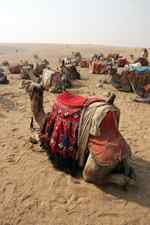 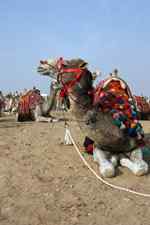 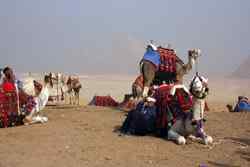 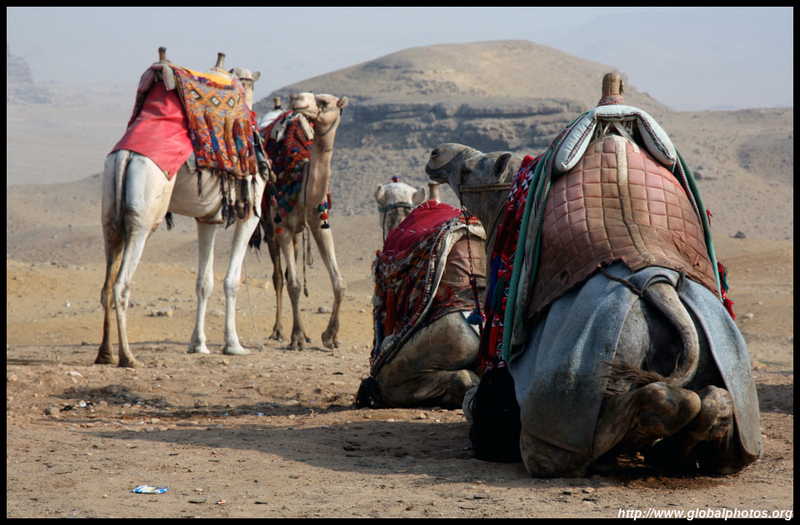 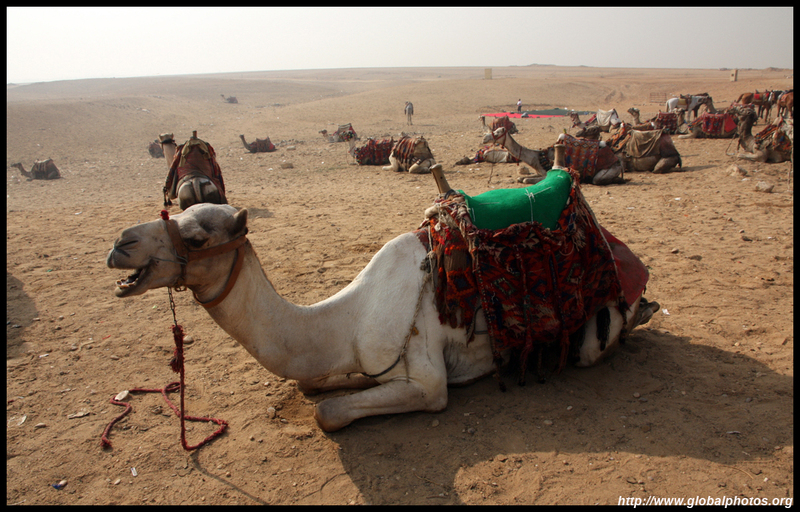 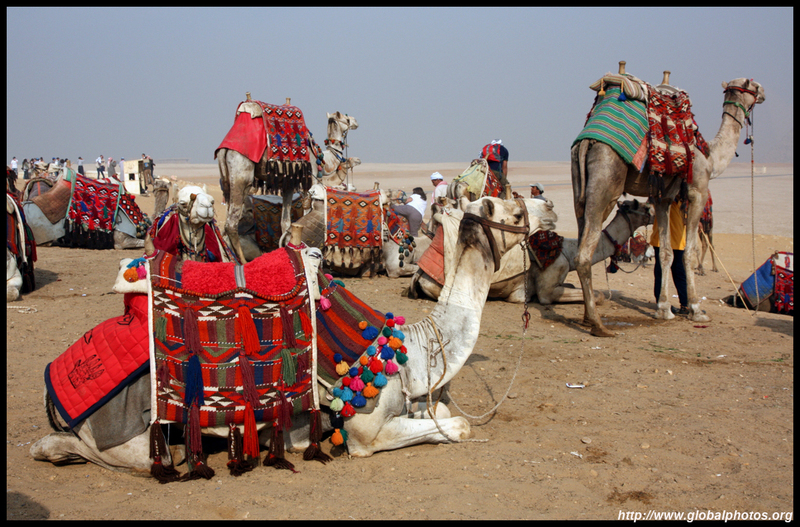 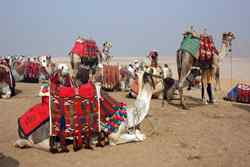 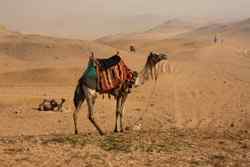 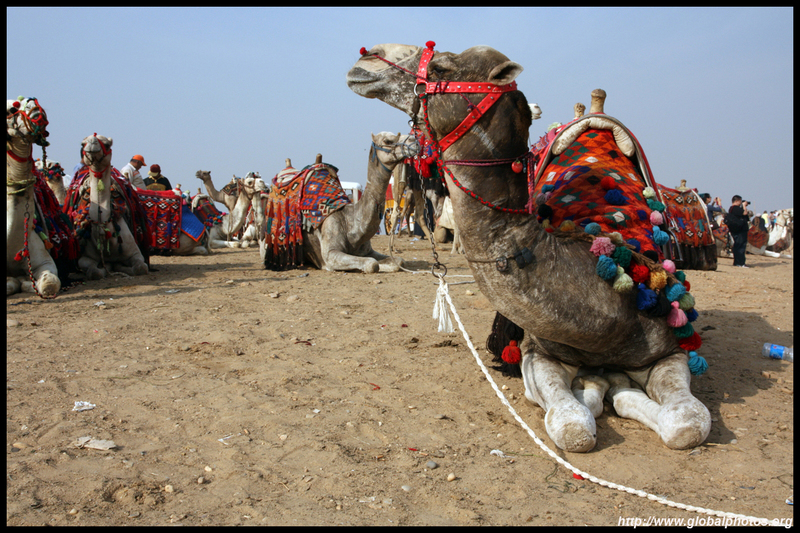 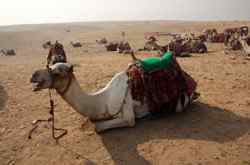 There were far more camels in supply than demand. 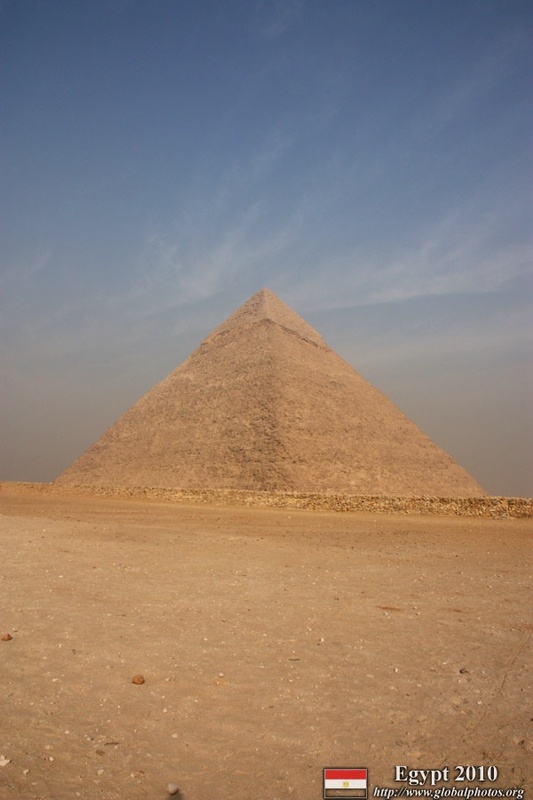 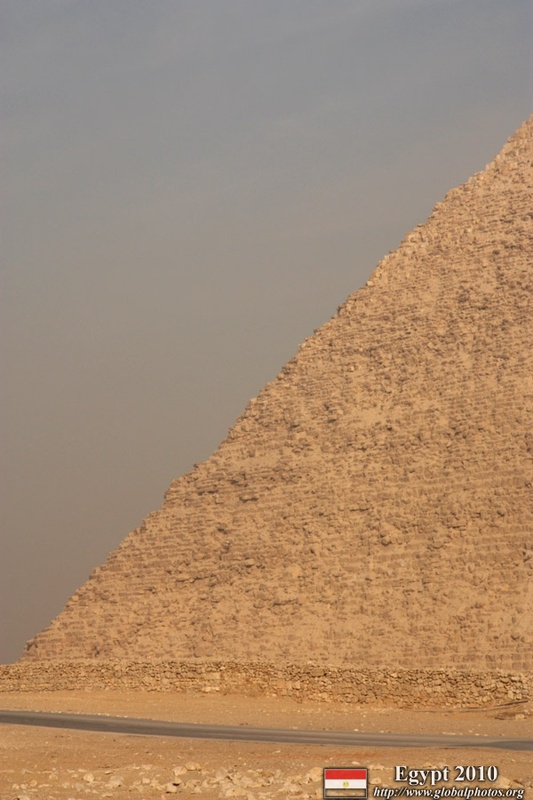 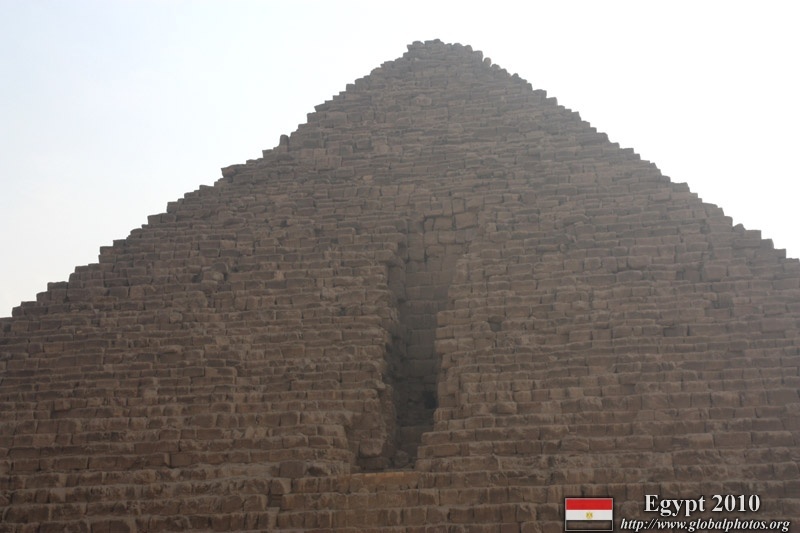 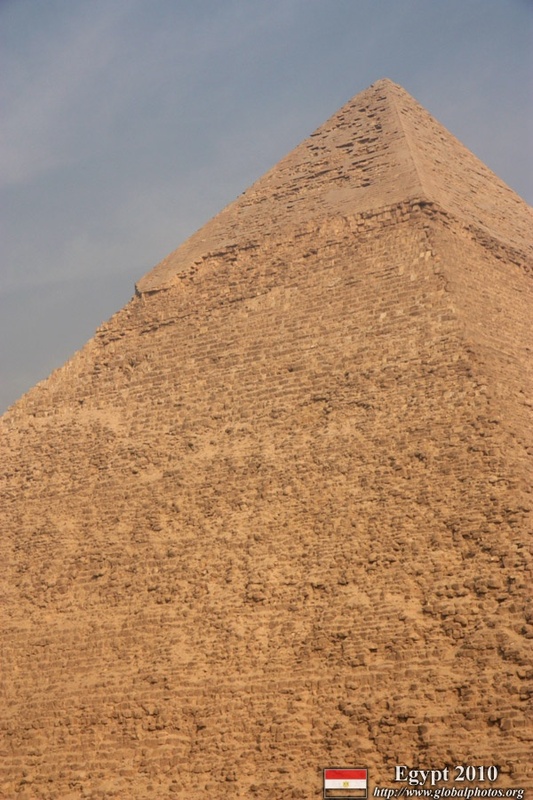 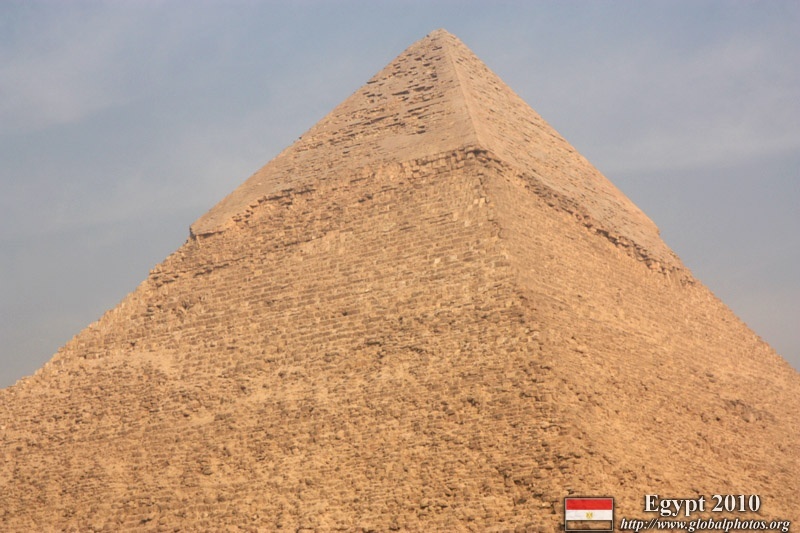 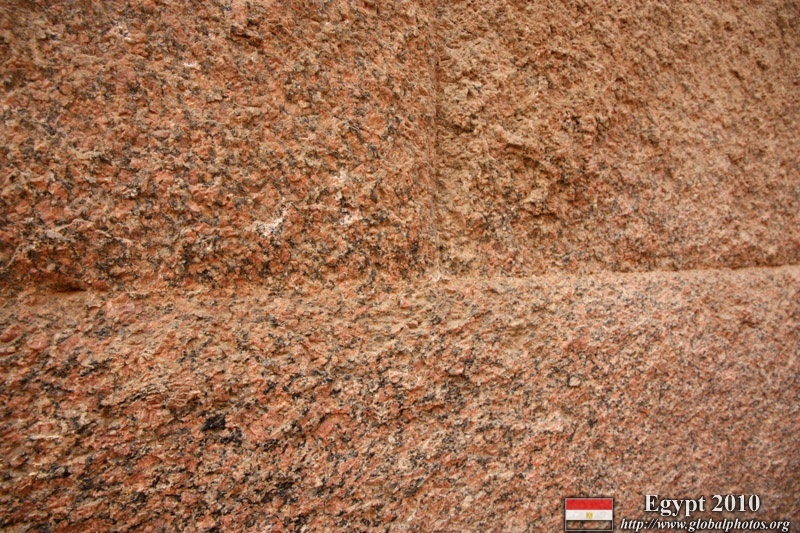 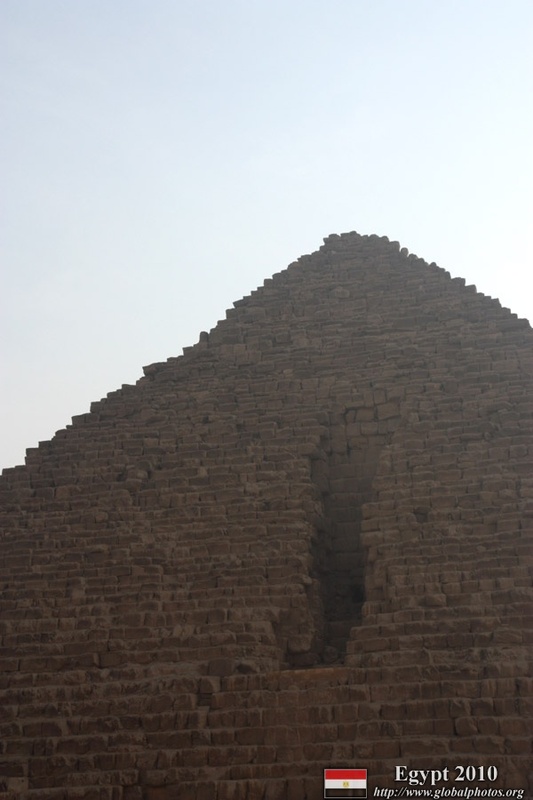 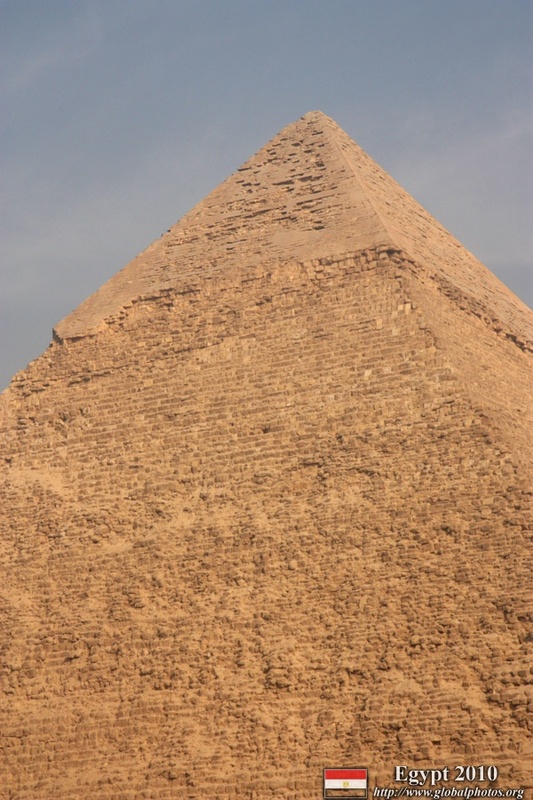 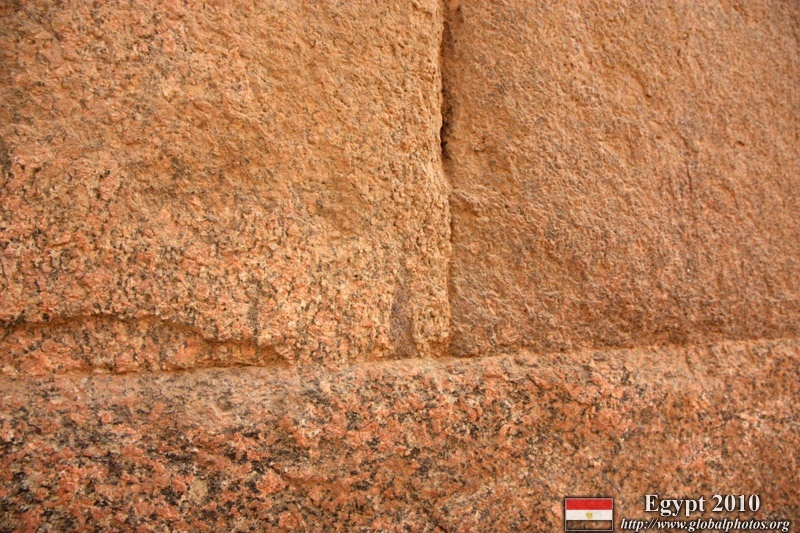 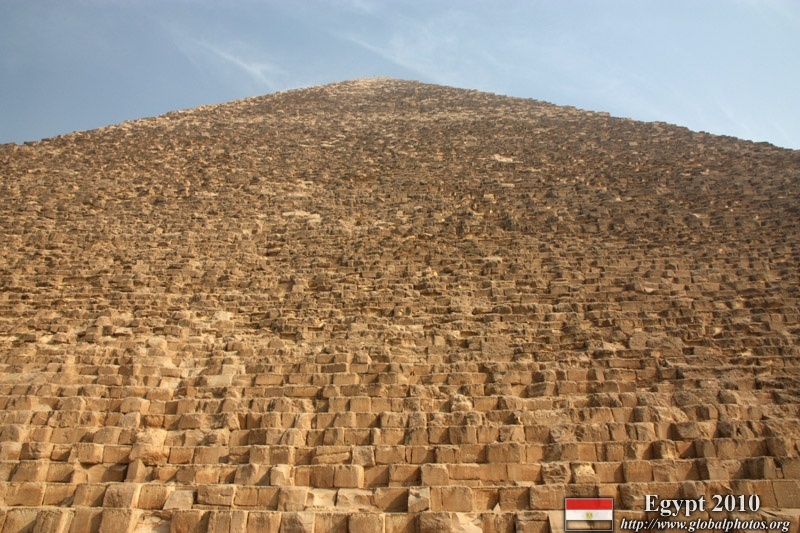 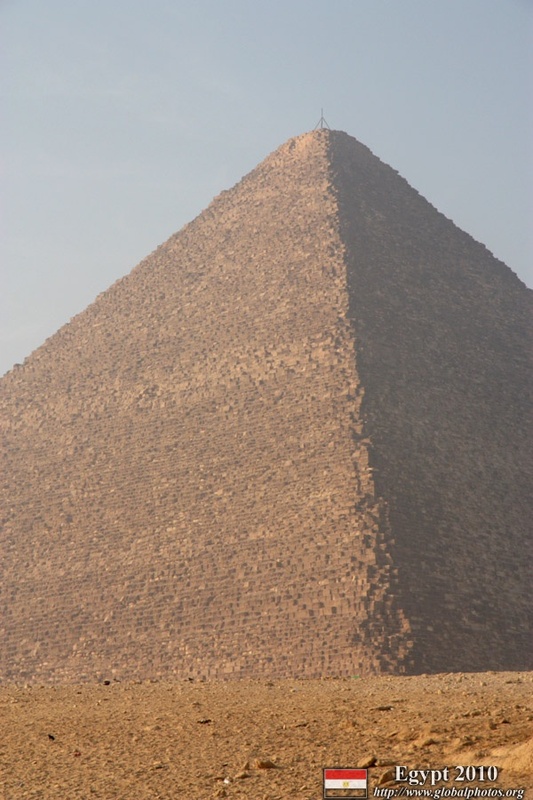 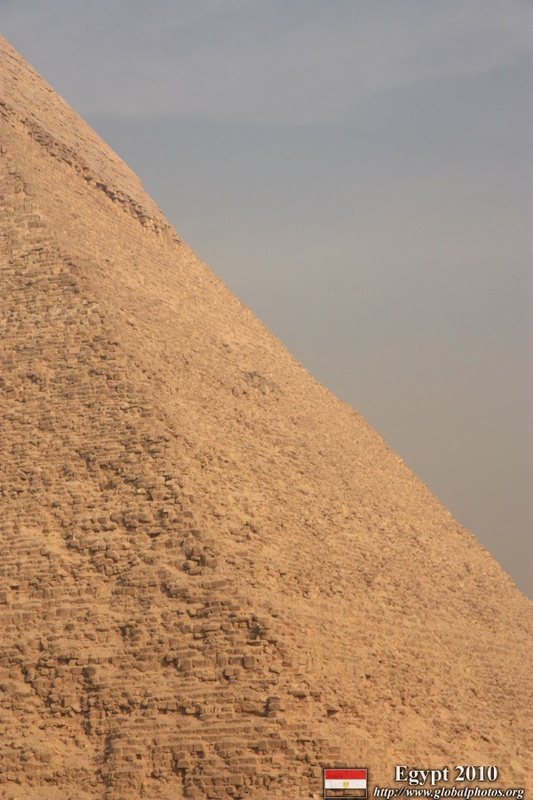 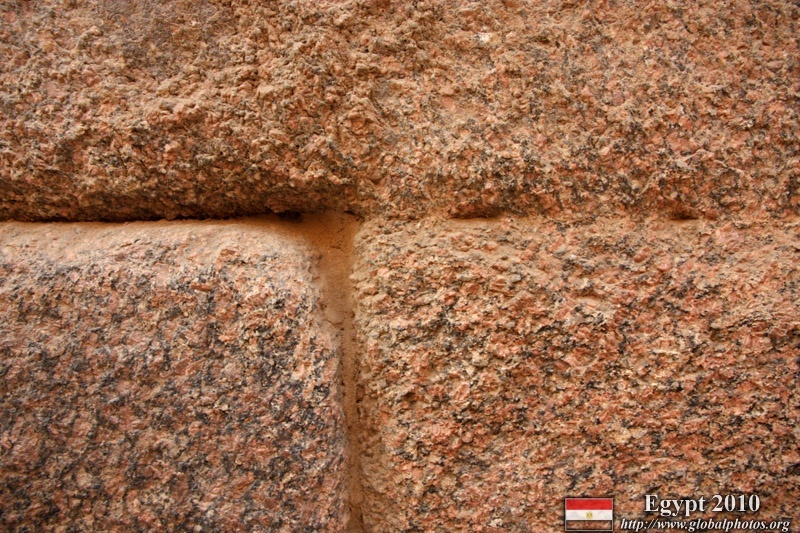 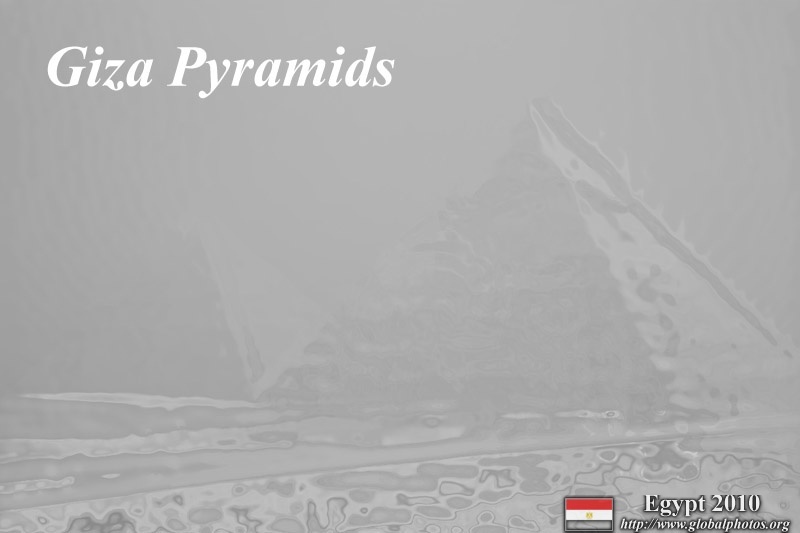 The Pyramid of Khafre has a distinct, smooth cap. 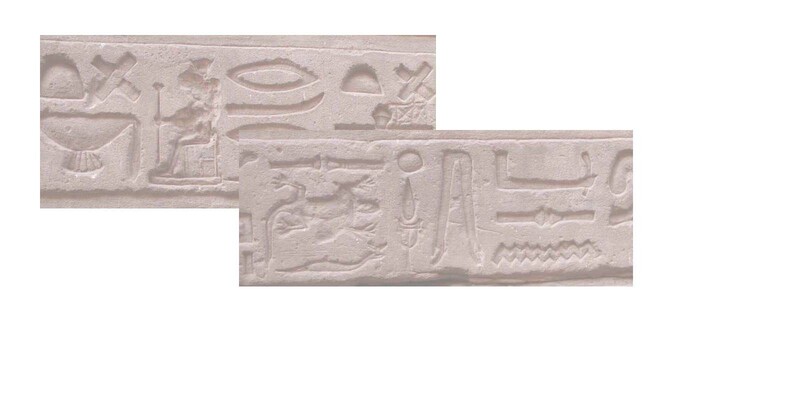 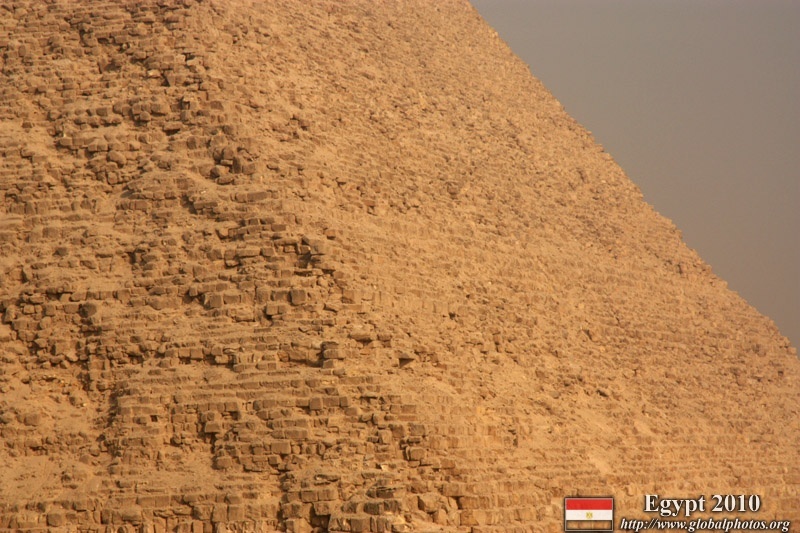 That texture used to cover all 3 pyramids in full. 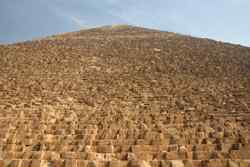 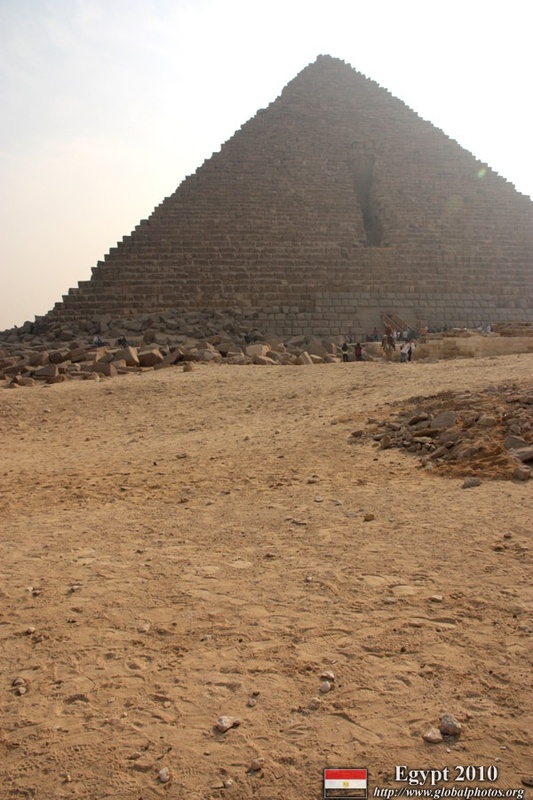 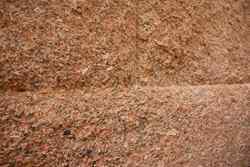 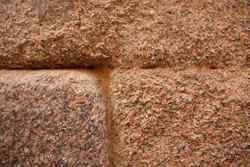 My second experience inside a pyramid was Menkaura - the 3rd one from the visitor's centre. 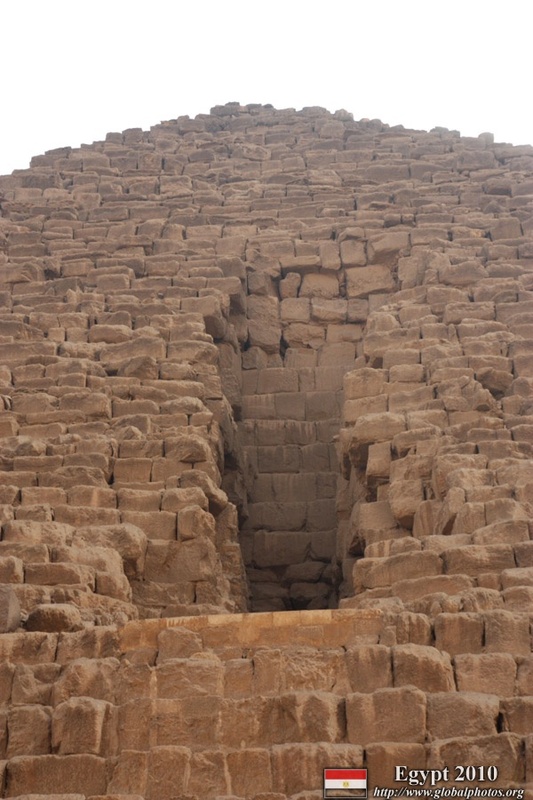 The descent into the interior was not too uncomfortable, and the cooler weather helped a lot. 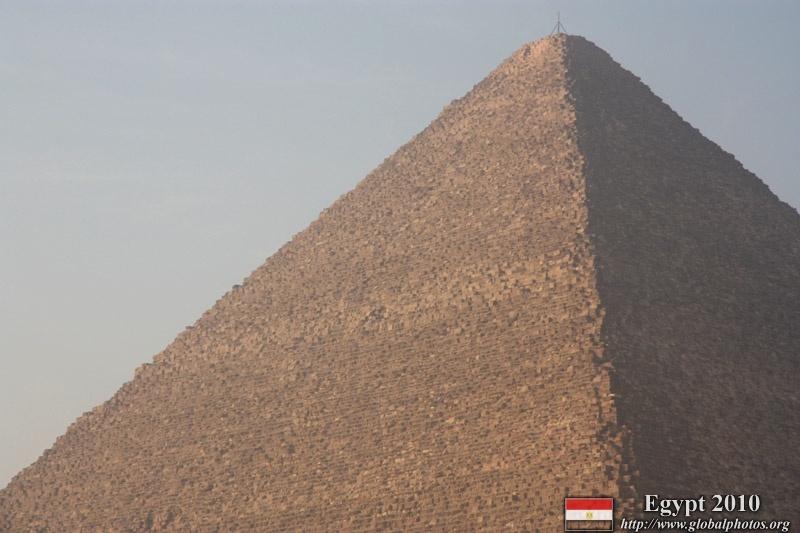 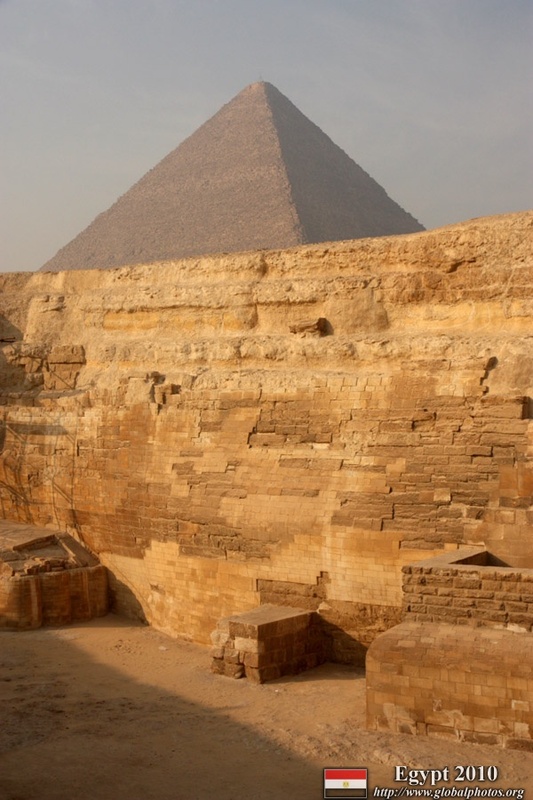 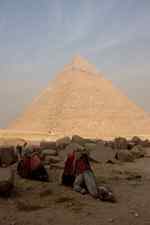 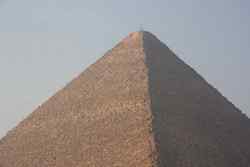 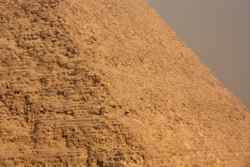 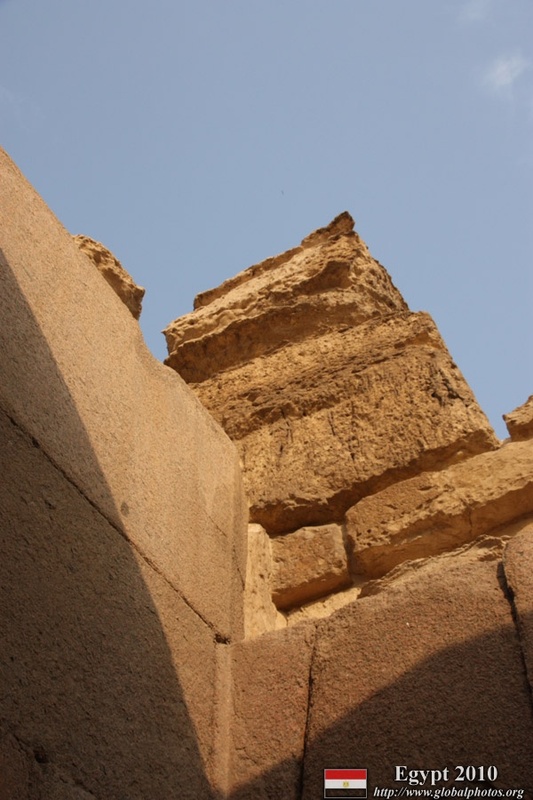 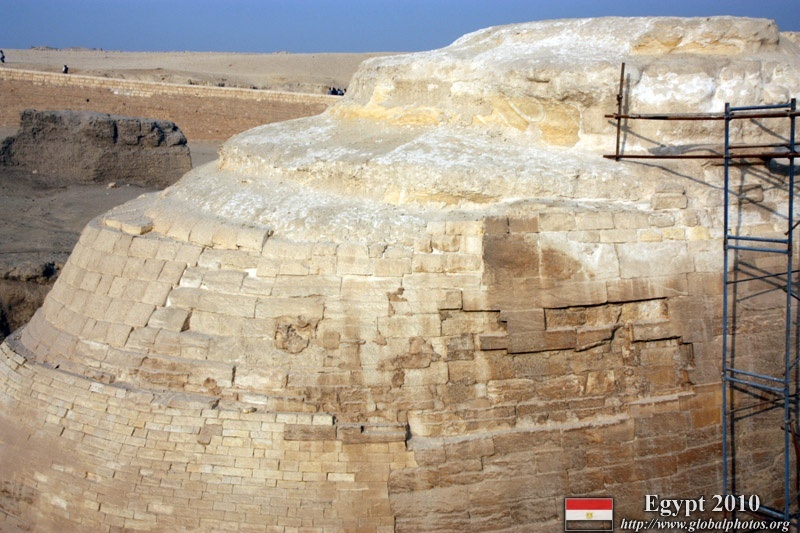 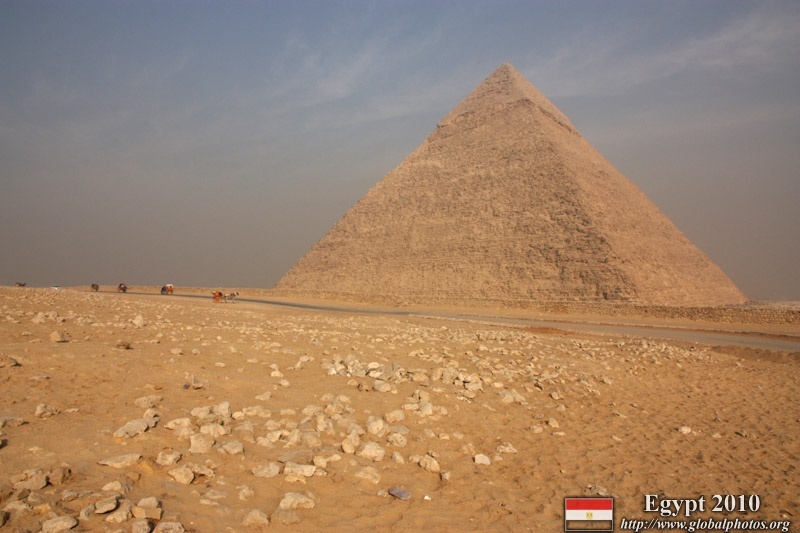 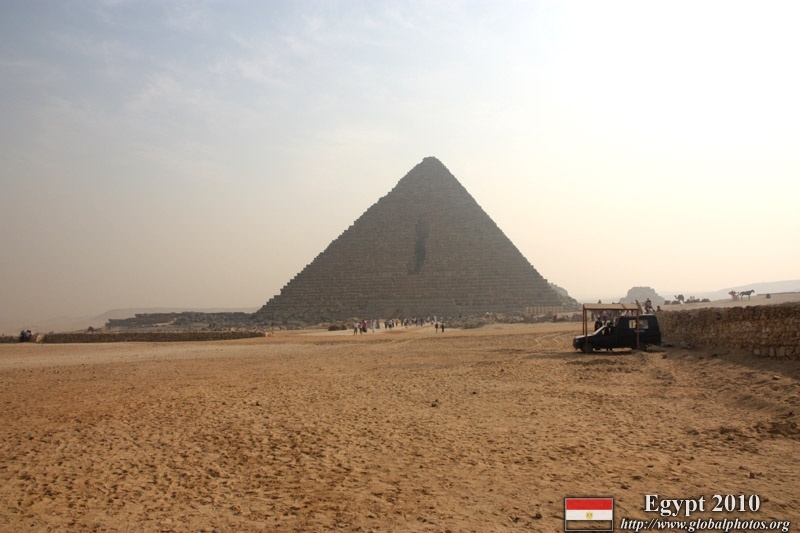 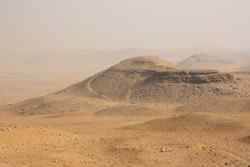 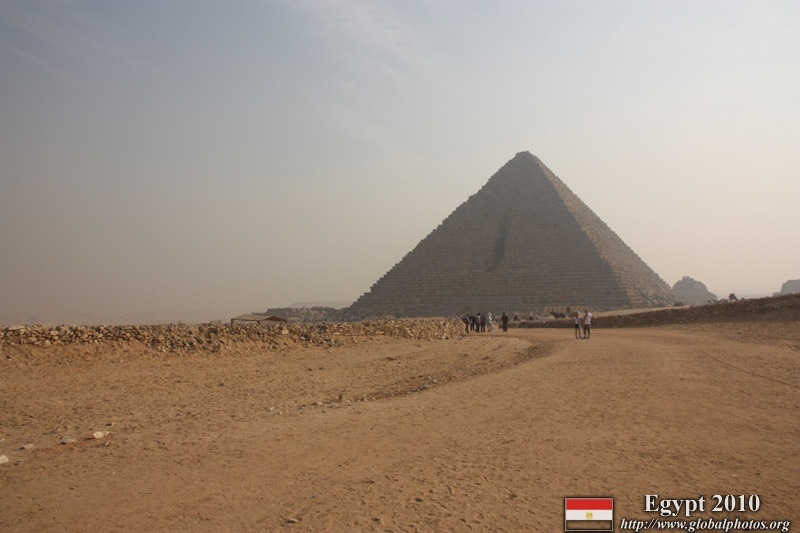 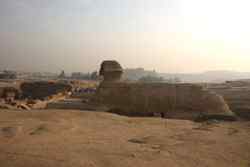 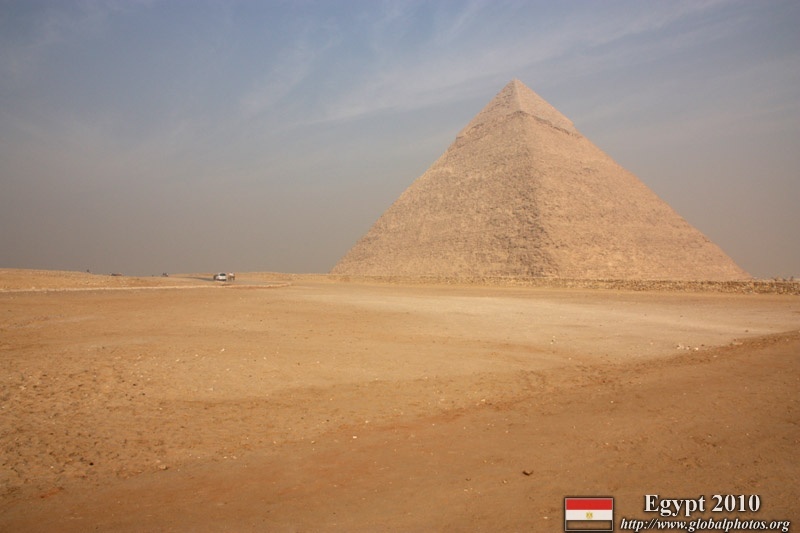 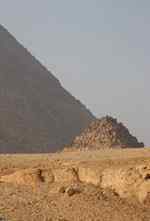 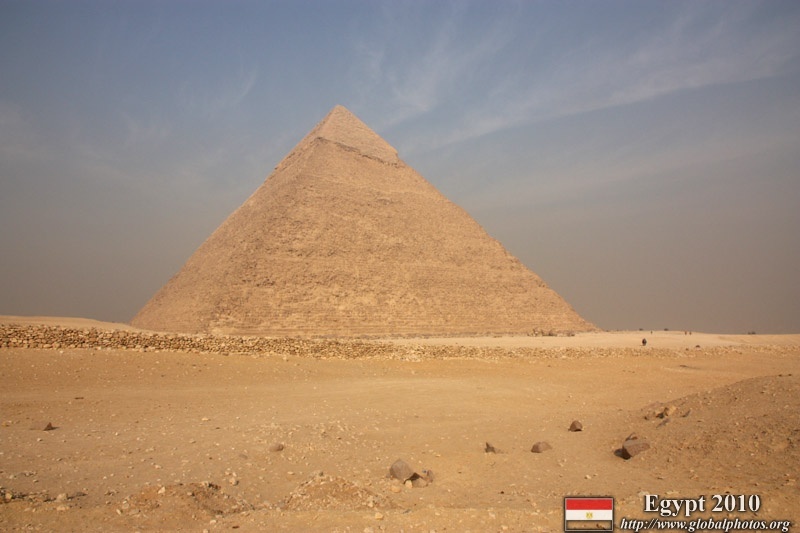 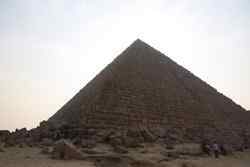 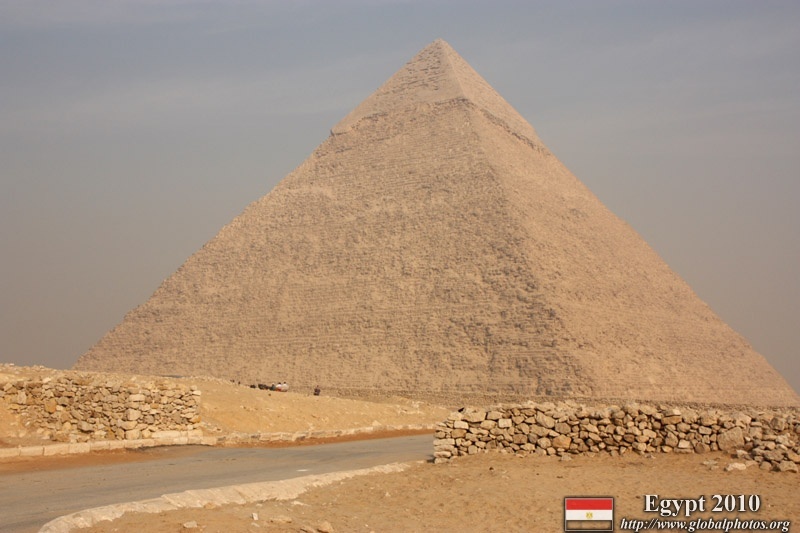 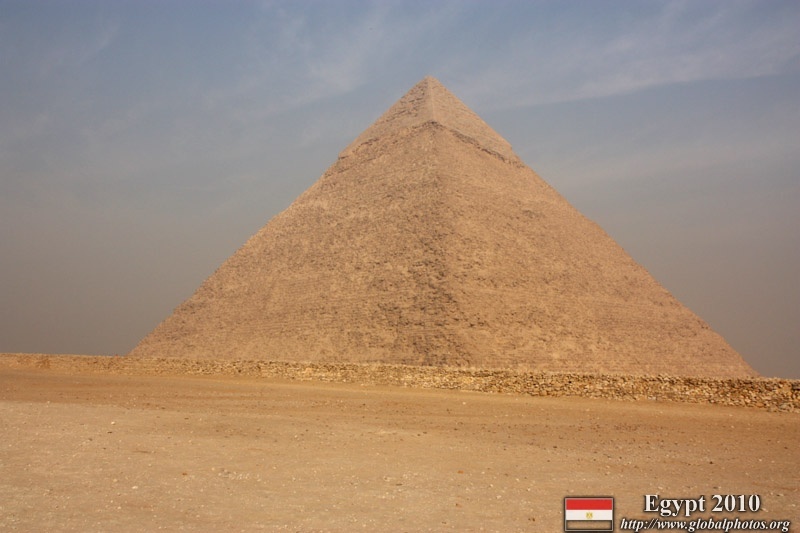 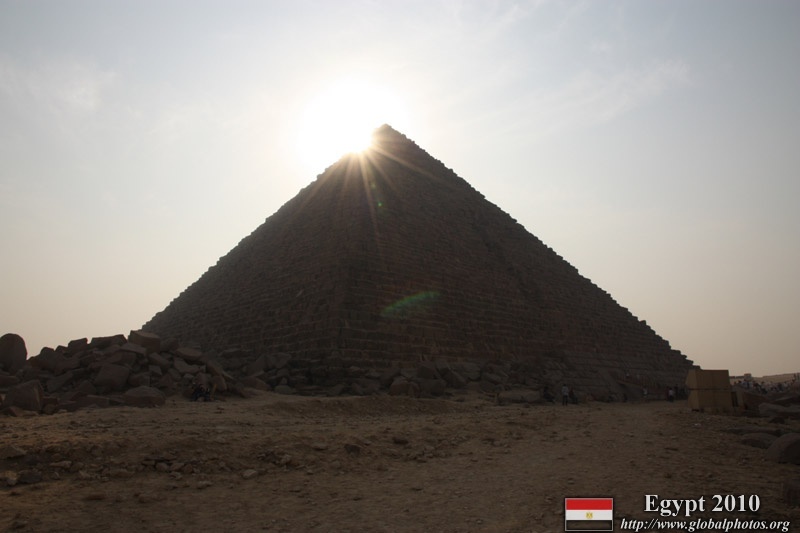 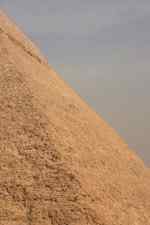 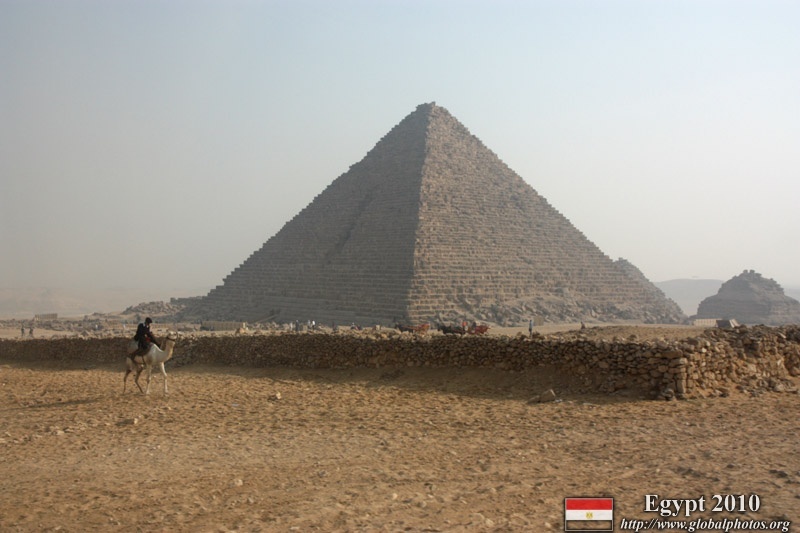 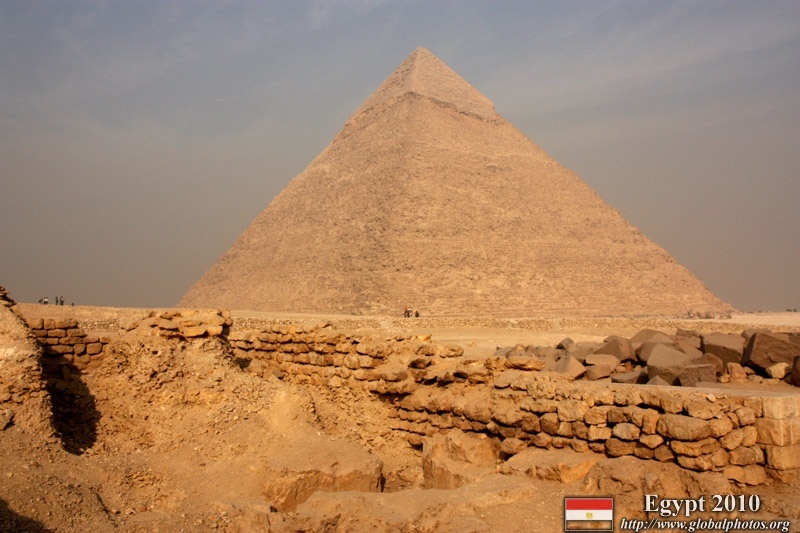 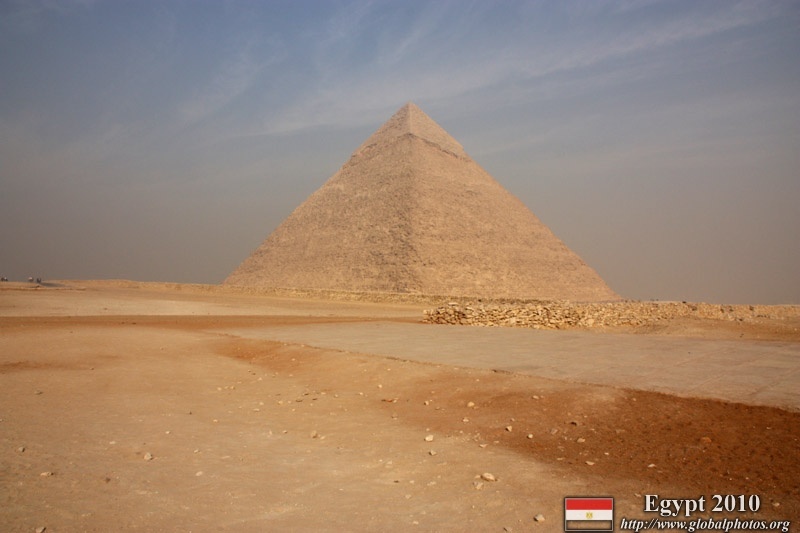 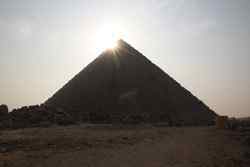 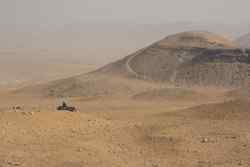 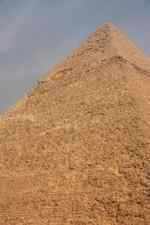 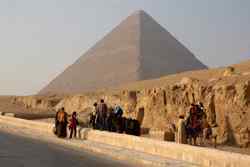 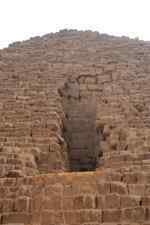 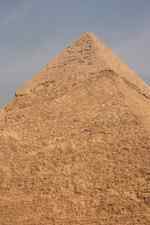 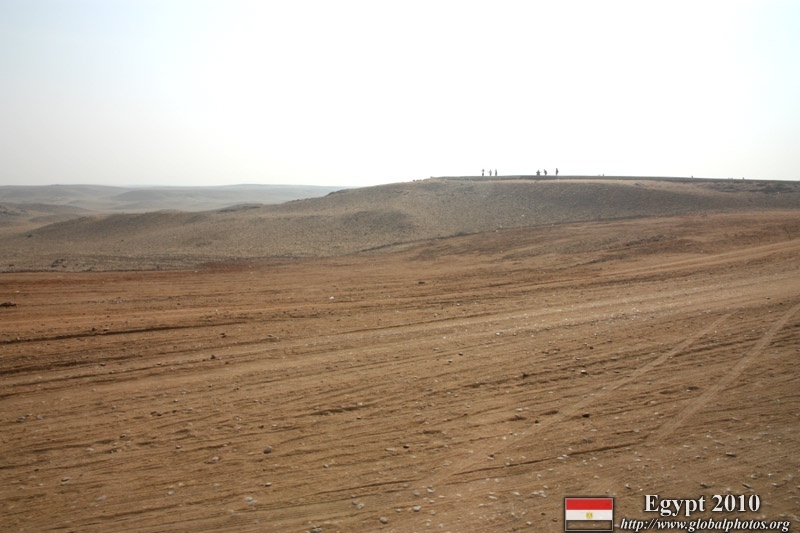 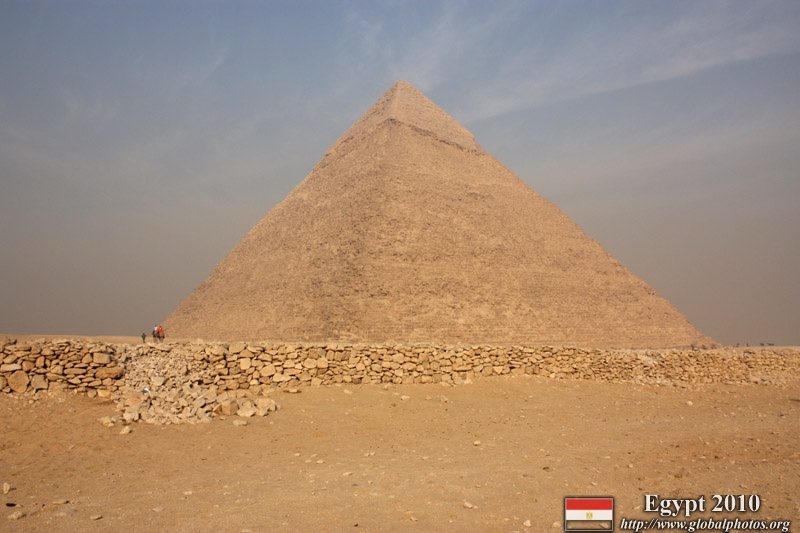 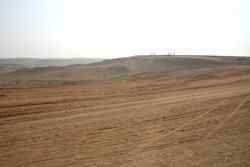 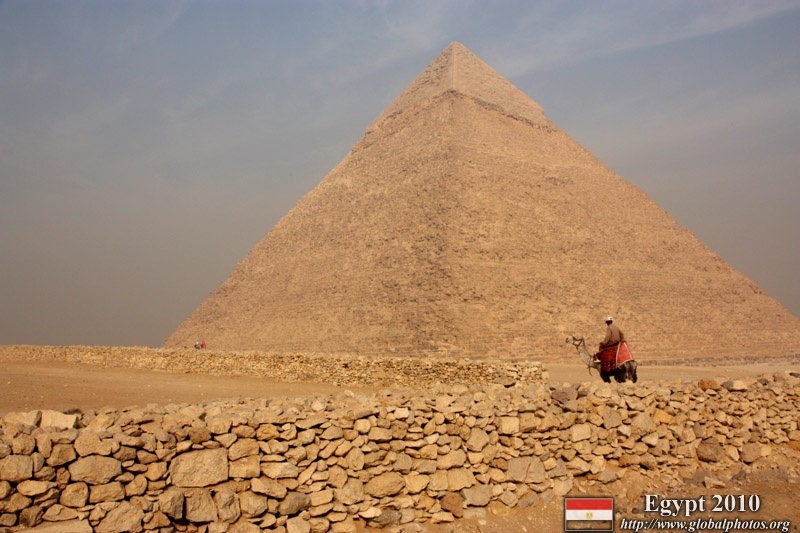 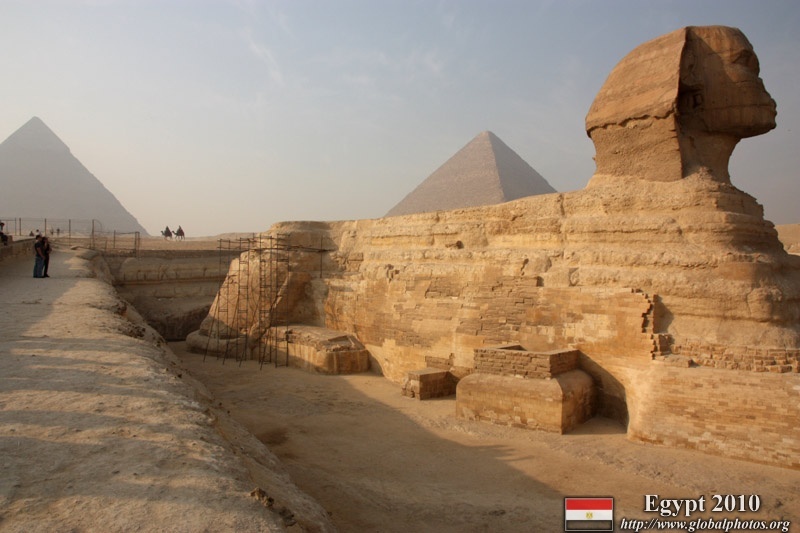 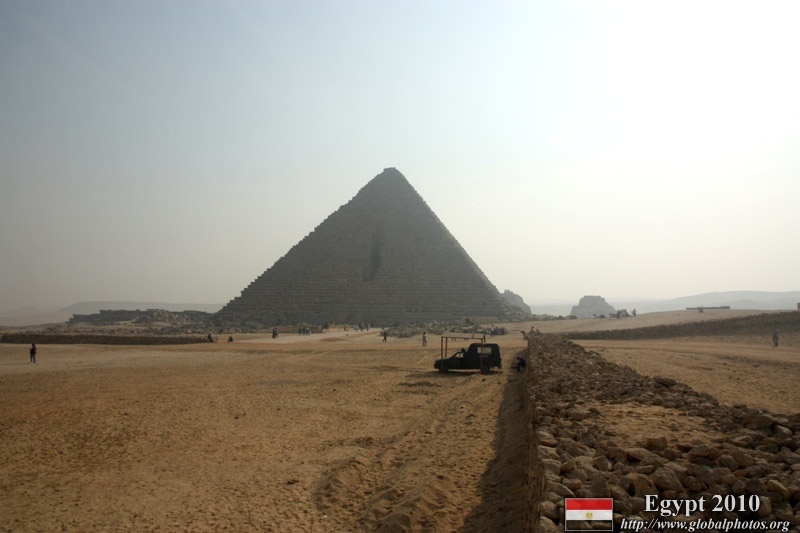 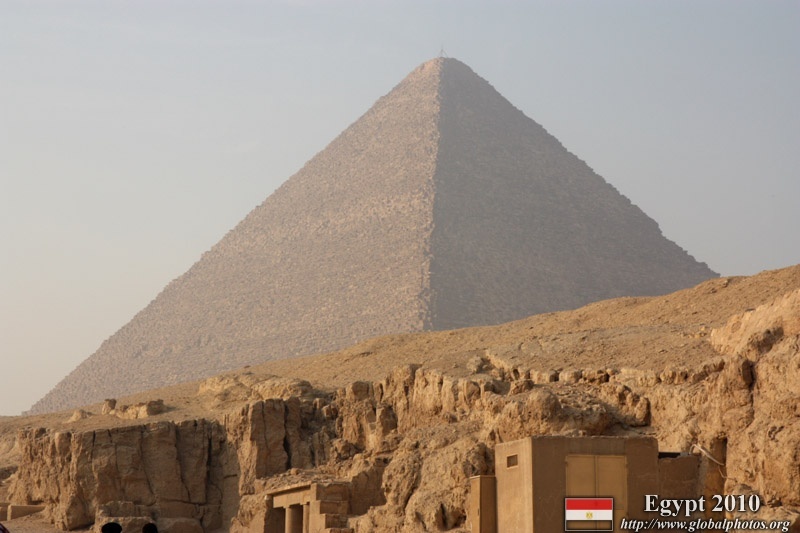 The Pyramid of Khafre was in full view from Menkaura. 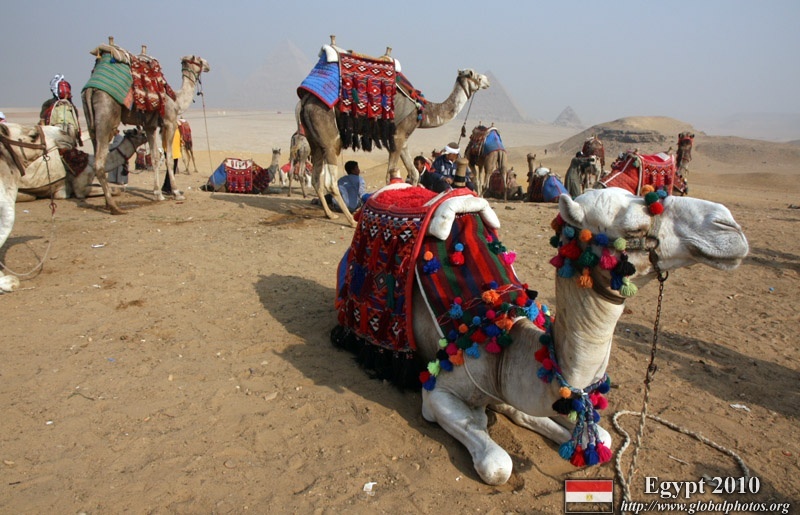 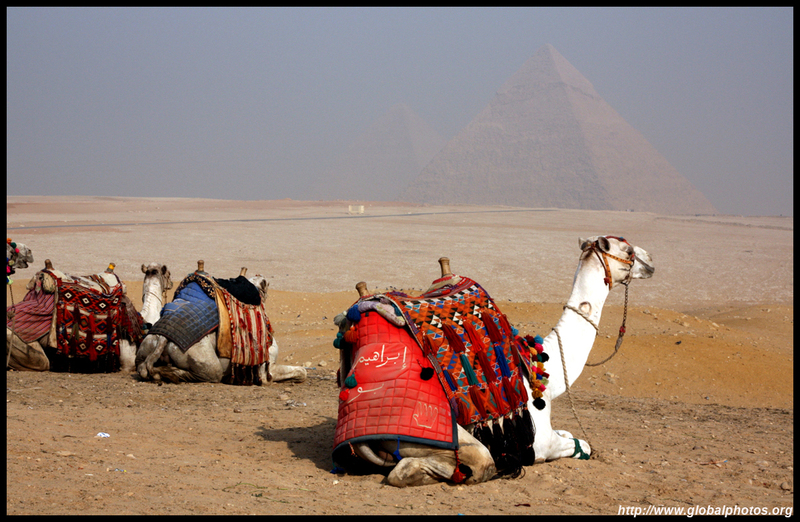 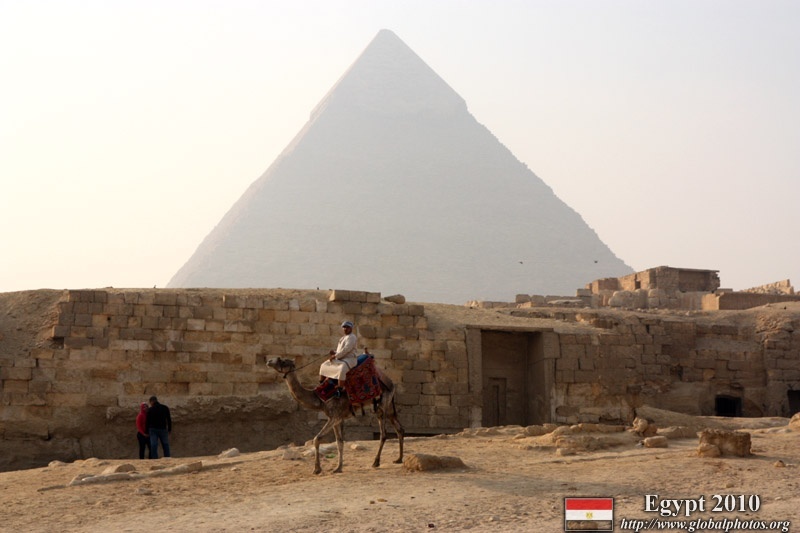 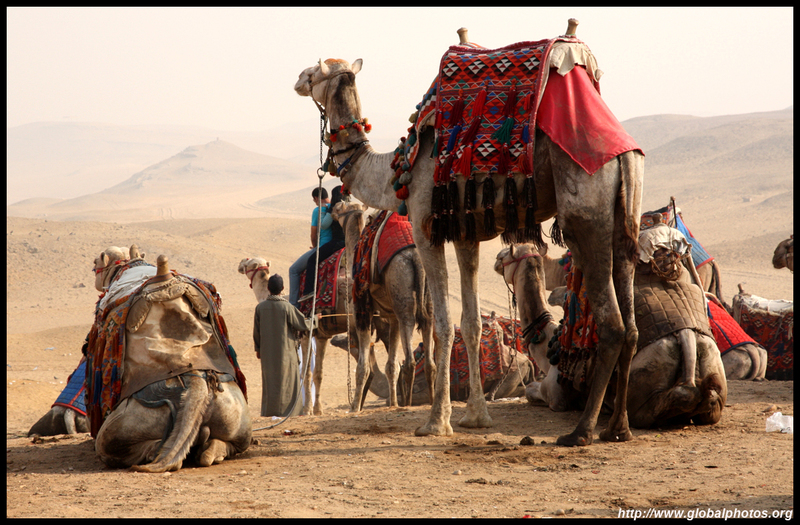 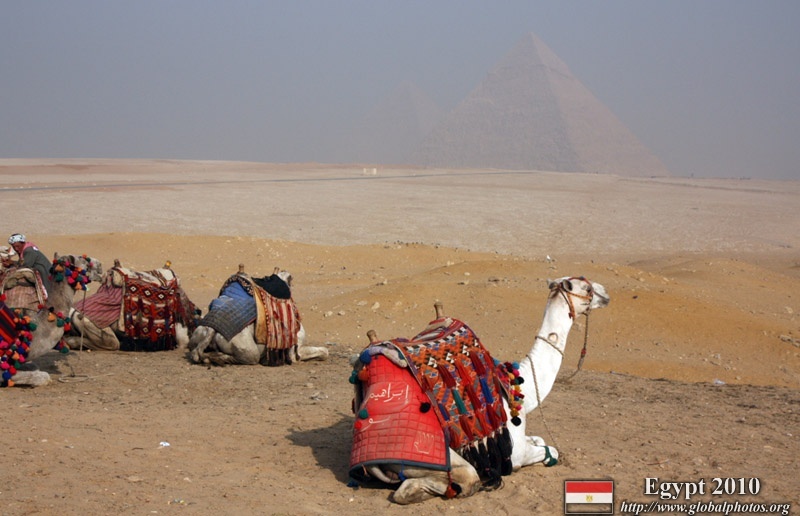 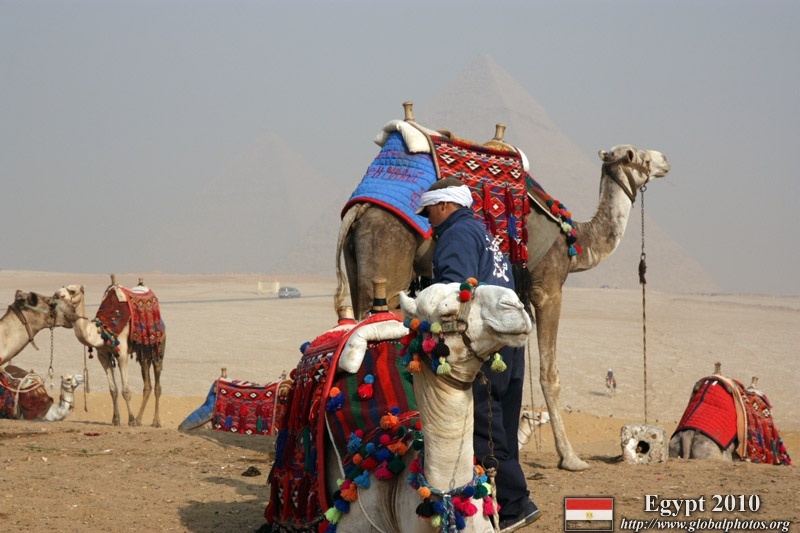 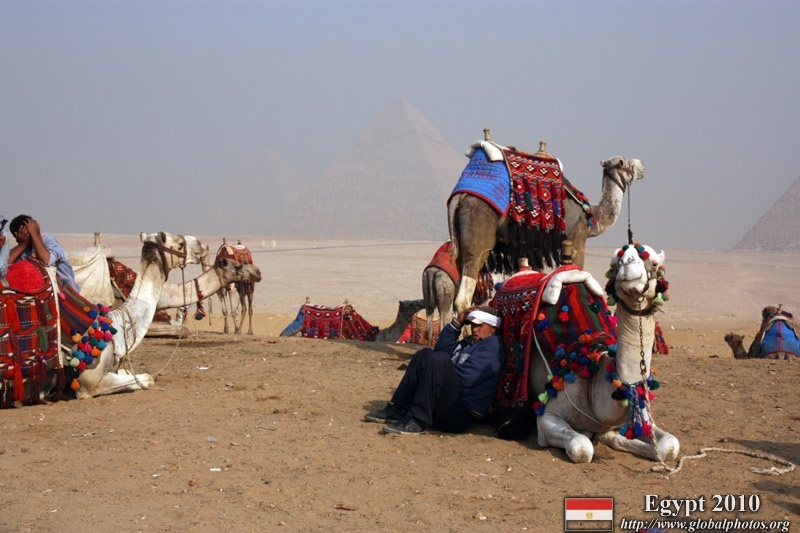 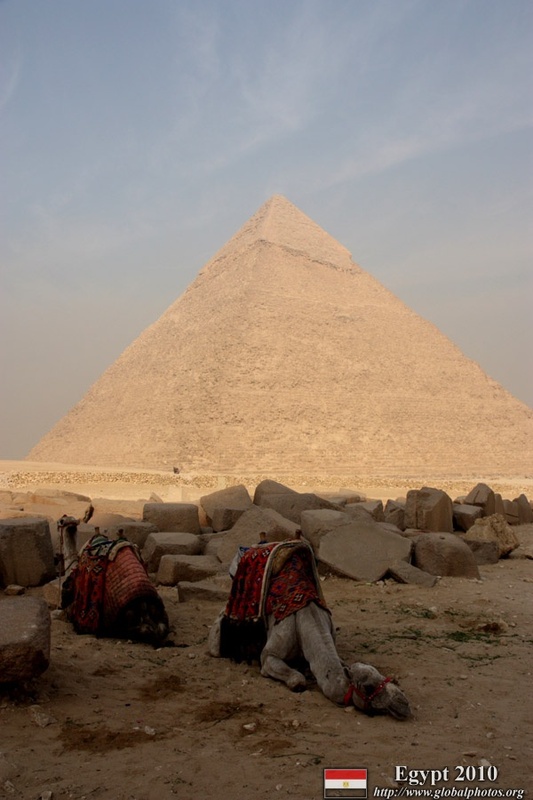 Camels and pyramid .. very classic view. 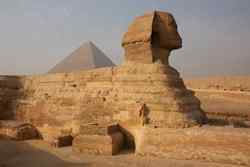 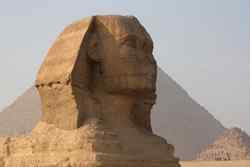 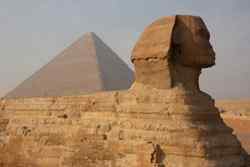 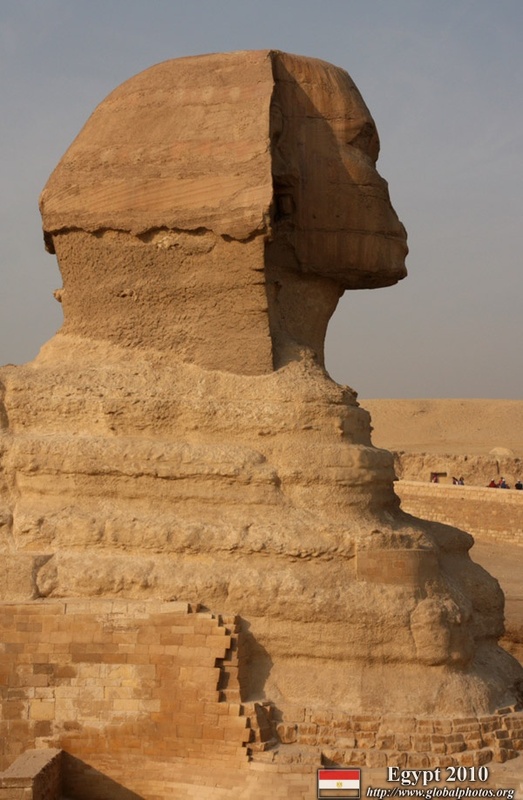 The Sphinx was surprisingly small compared to the pyramids. 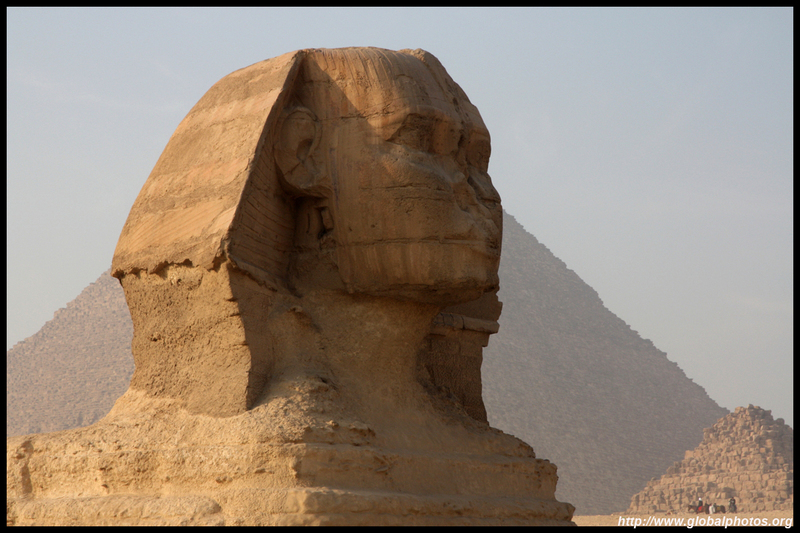 I didn't expect it to be so small, but nevertheless, the image is still very clear showing both cat and human characteristics. 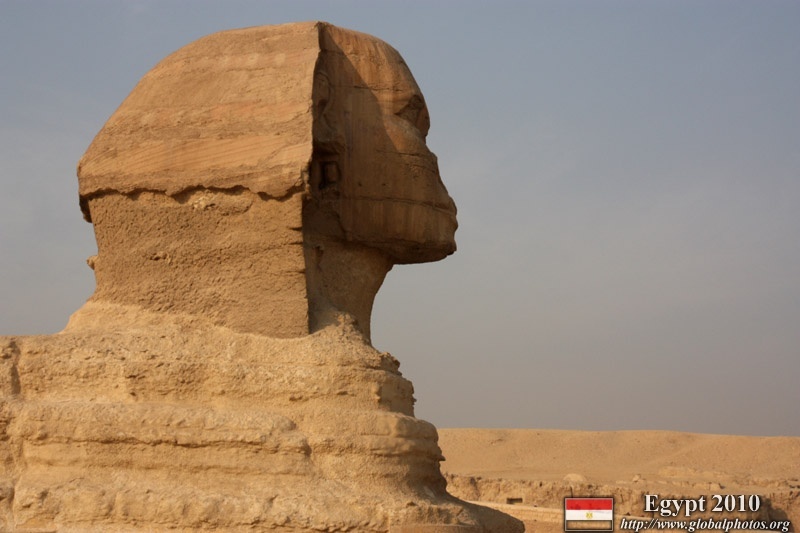 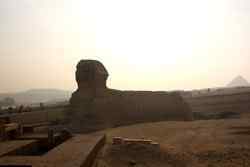 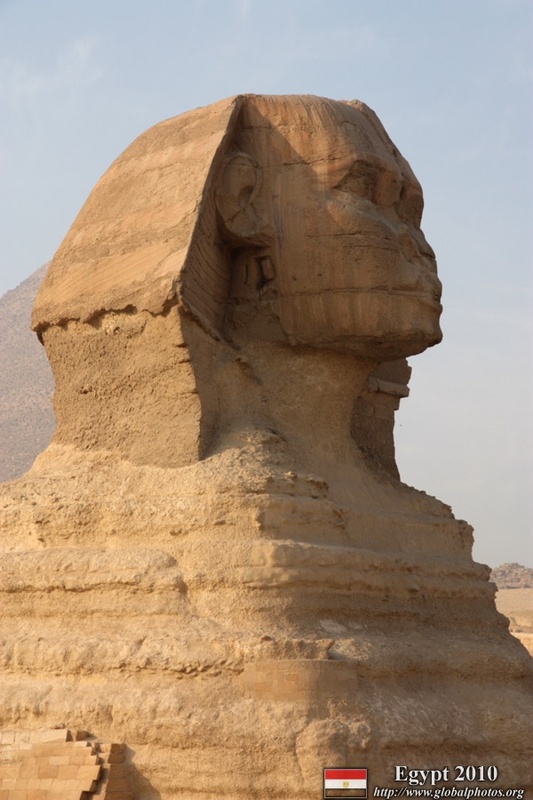 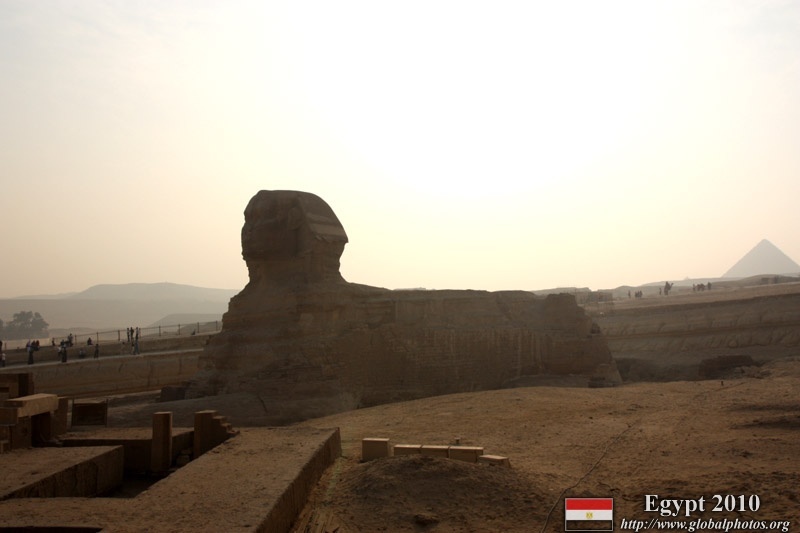 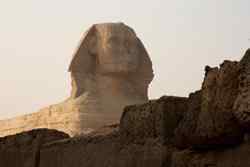 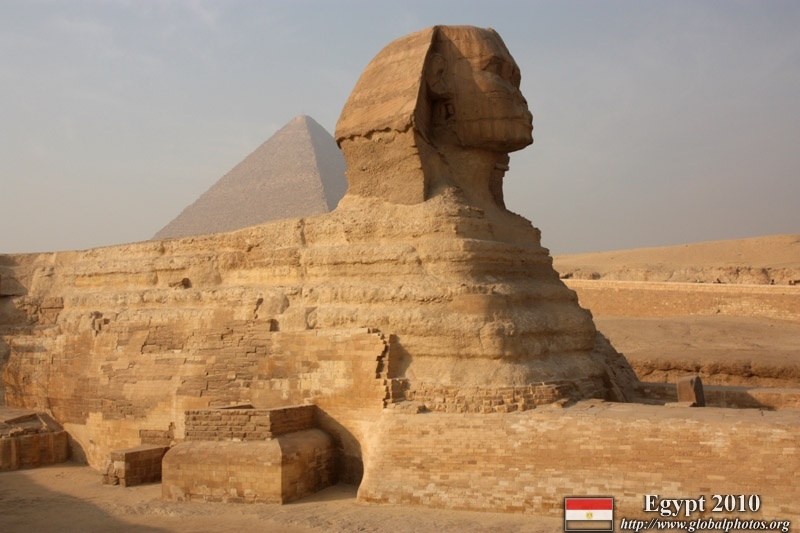 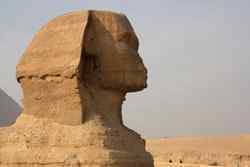 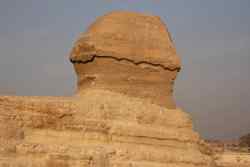 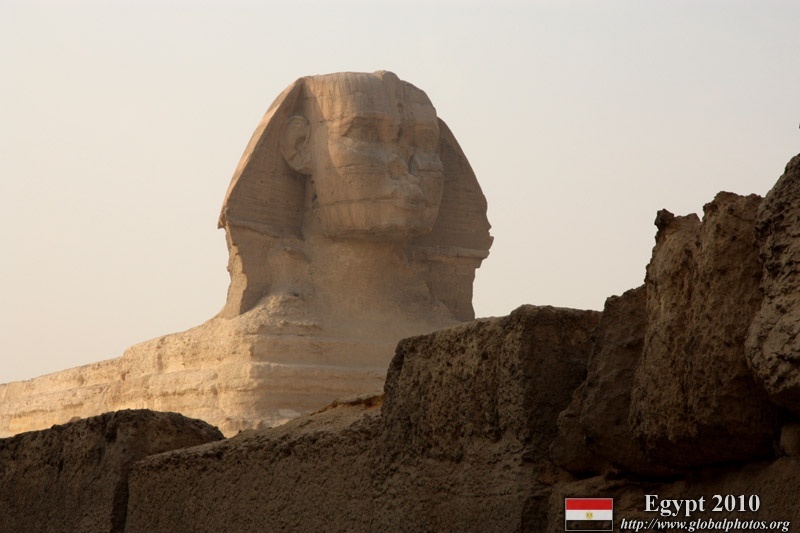 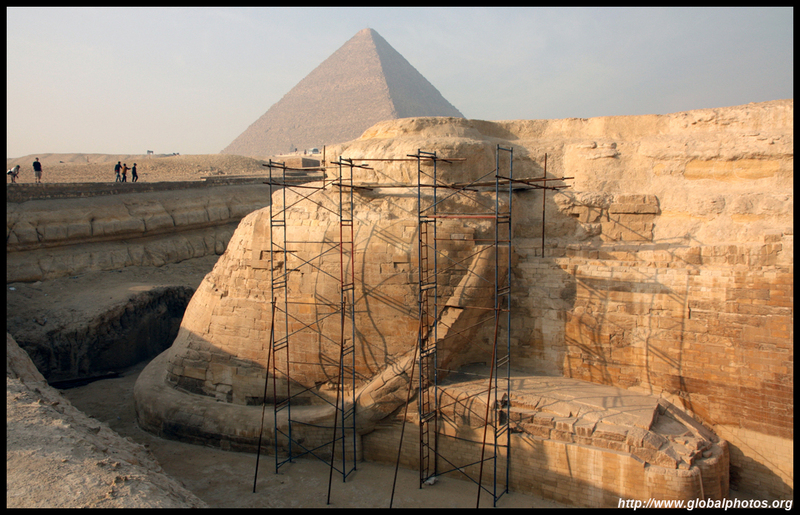 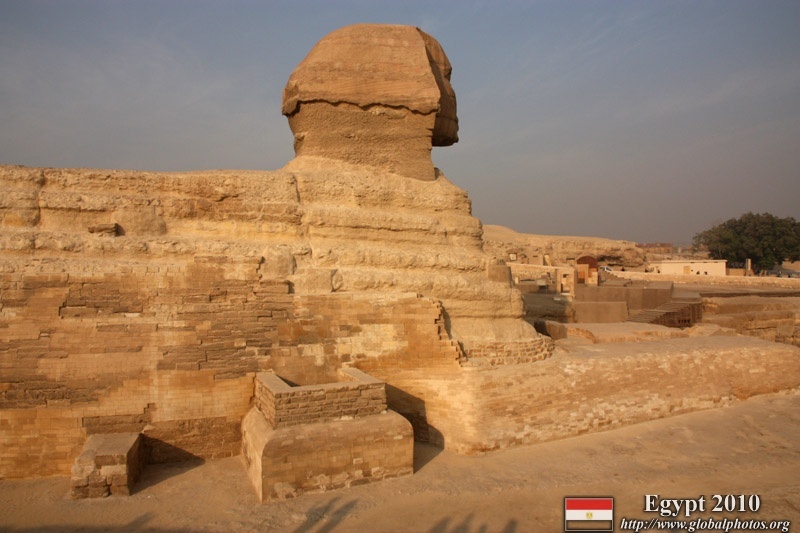 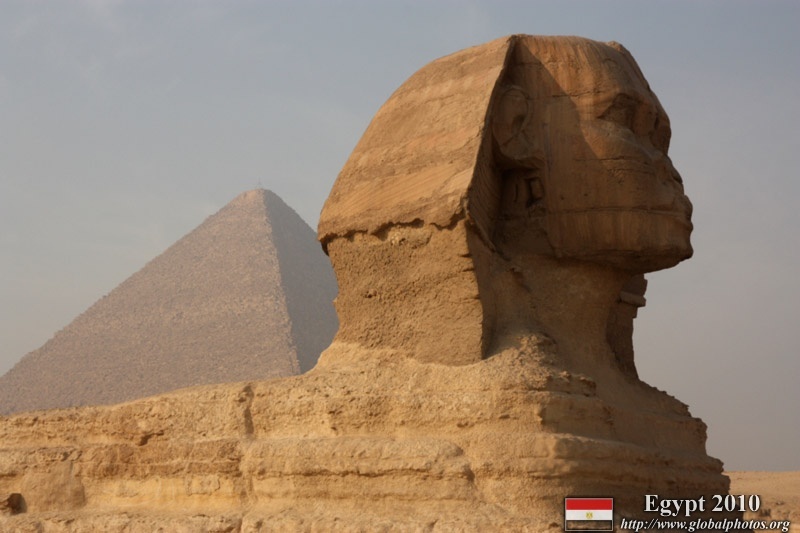 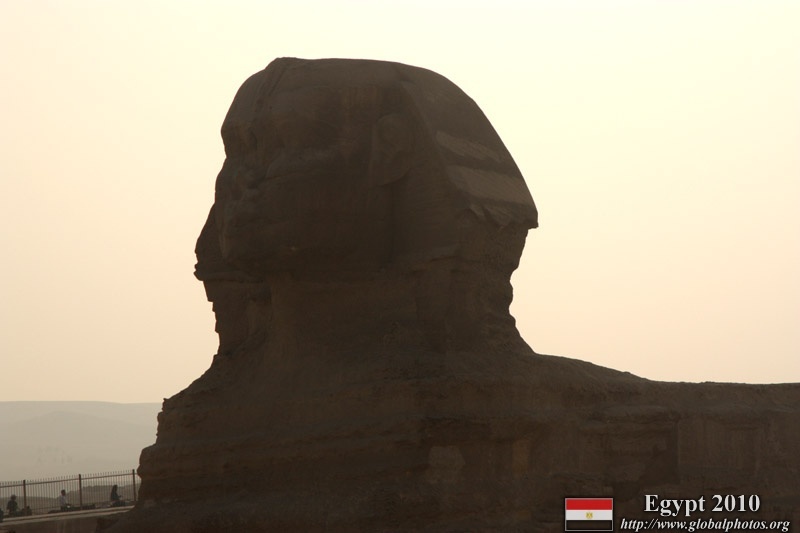 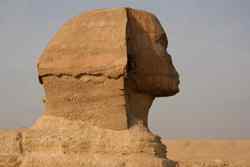 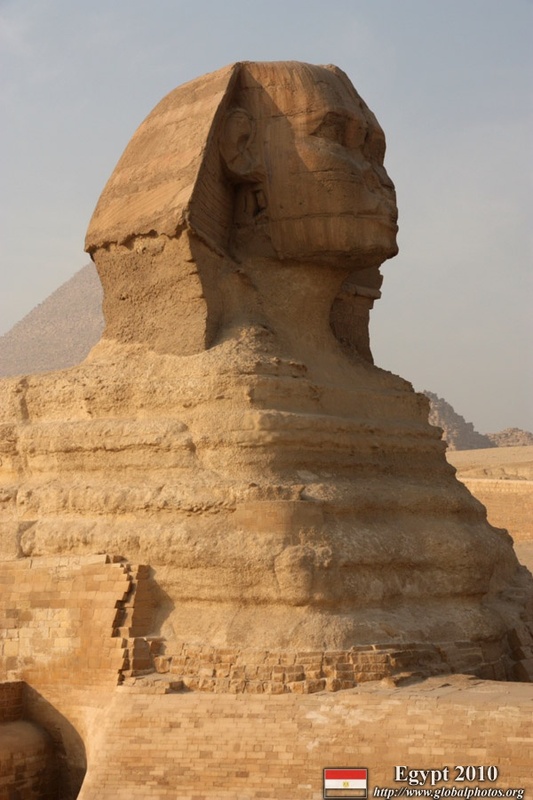 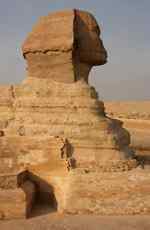 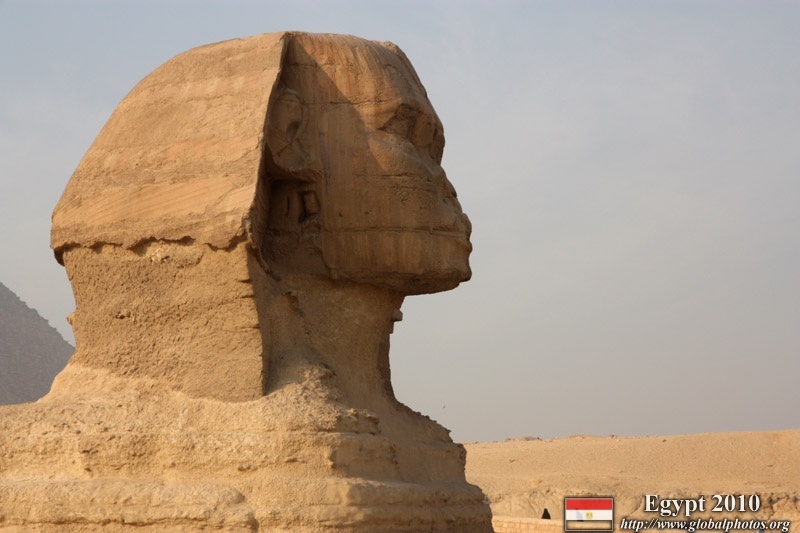 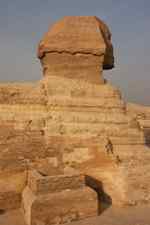 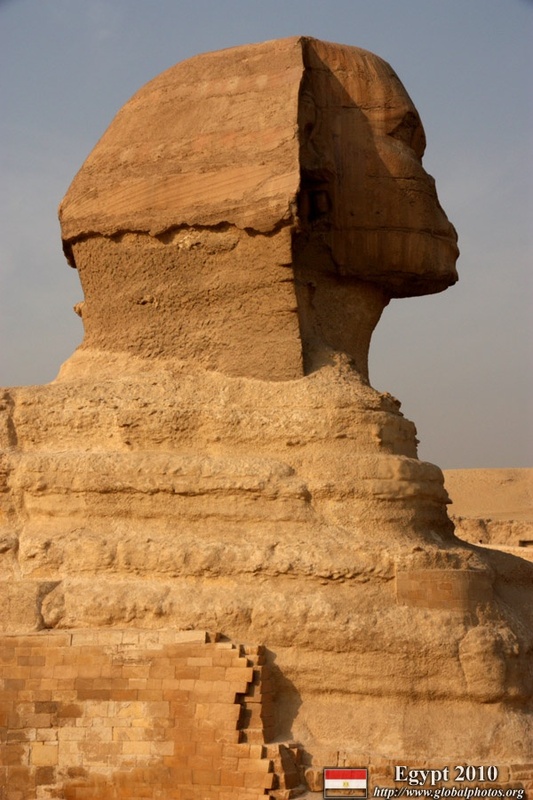 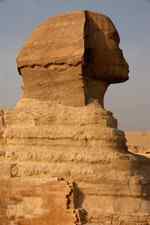 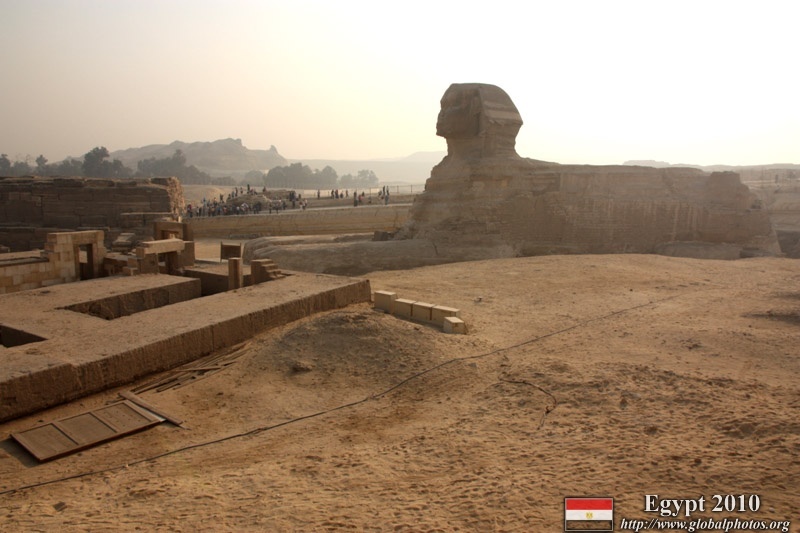 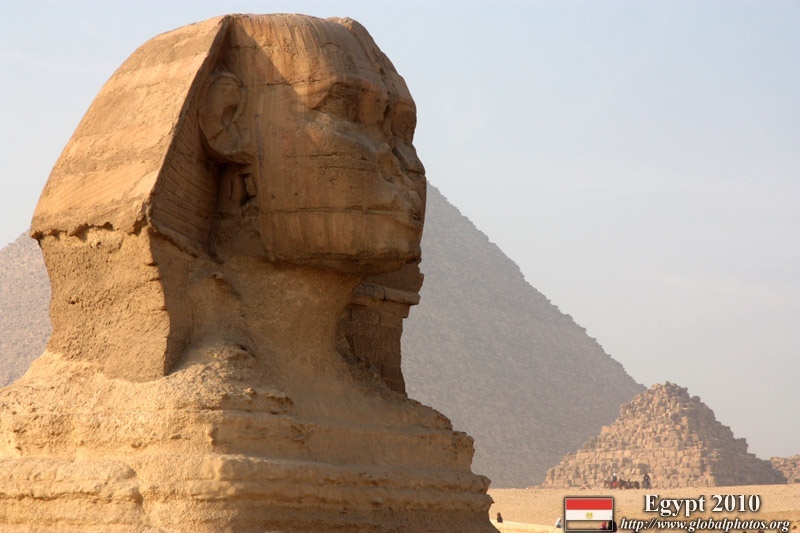 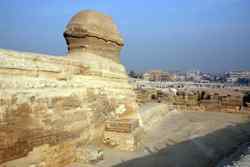 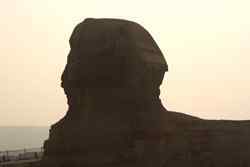 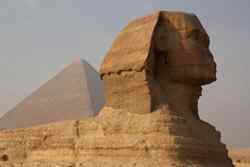 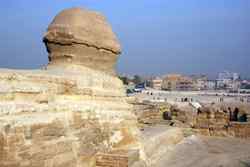 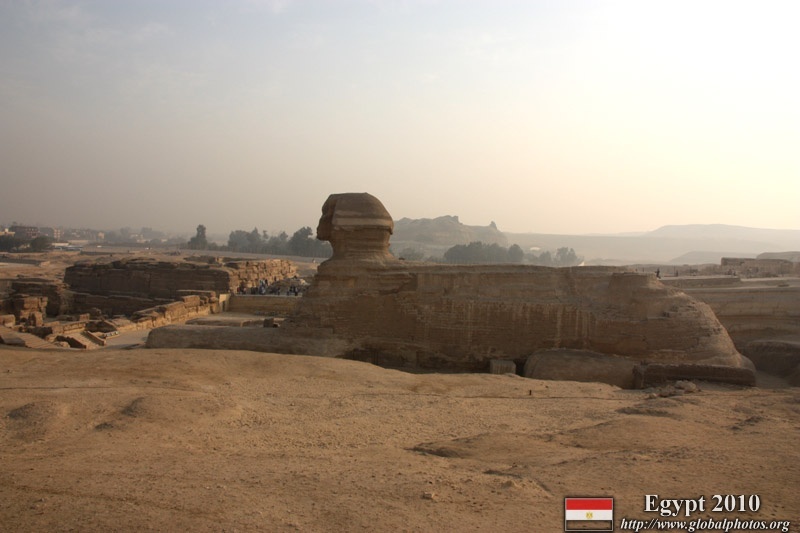 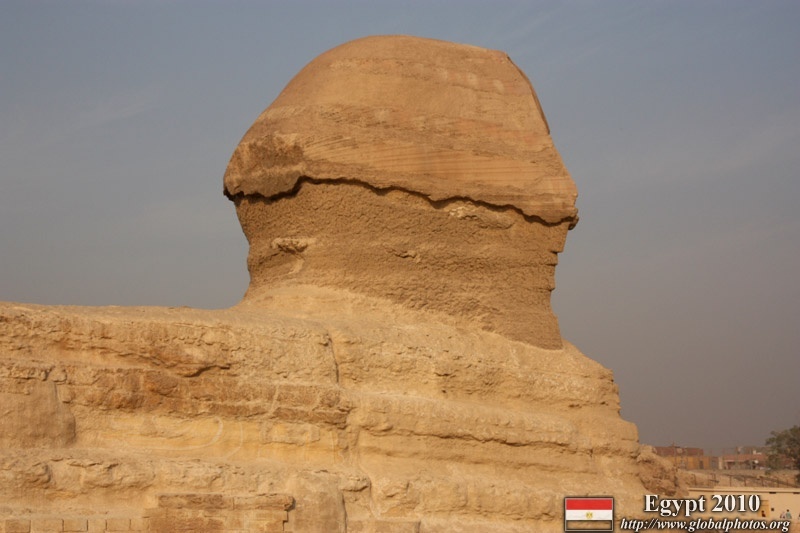 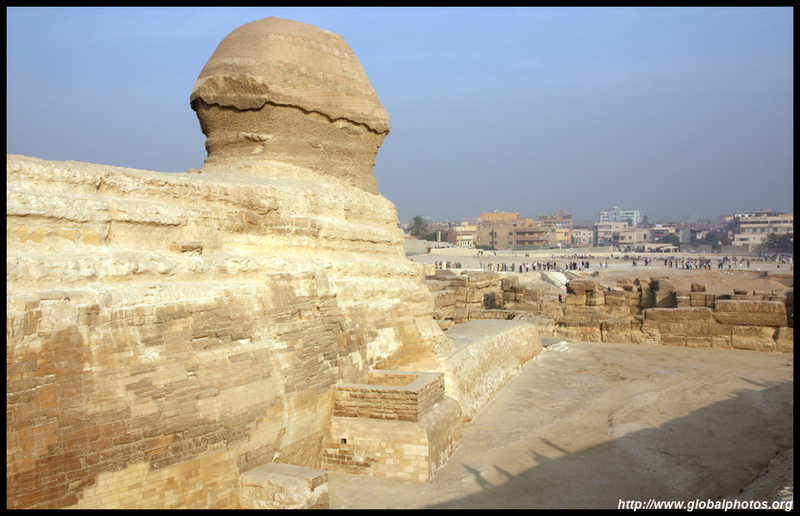 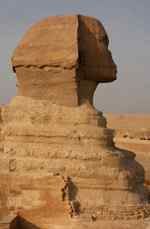 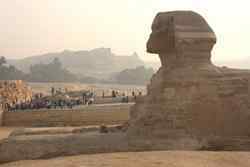 The Sphinx is physically separated from tourists by a deep shaft. 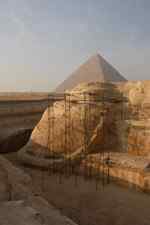 Unfortunately, where the tourists stand to take photos is not safely separated from the shaft, so tourists beware! 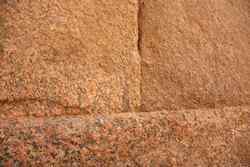 Take the wrong step and it'll be a nasty drop with a broken leg outcome.